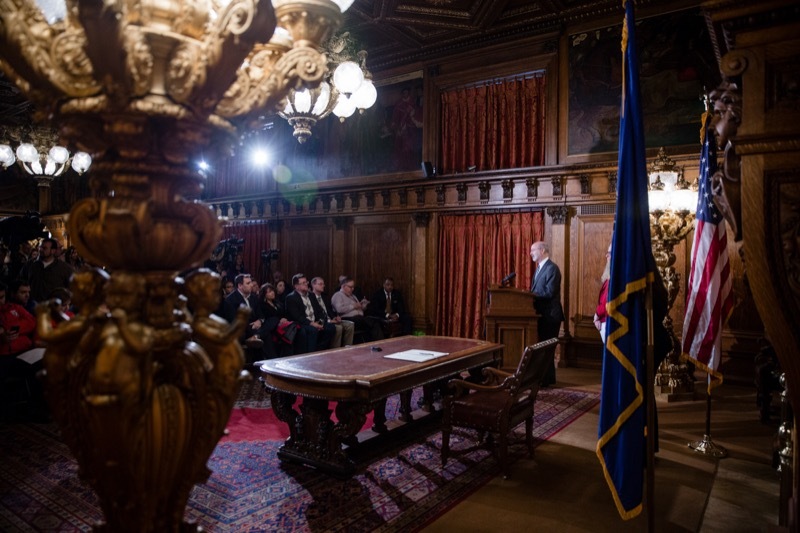 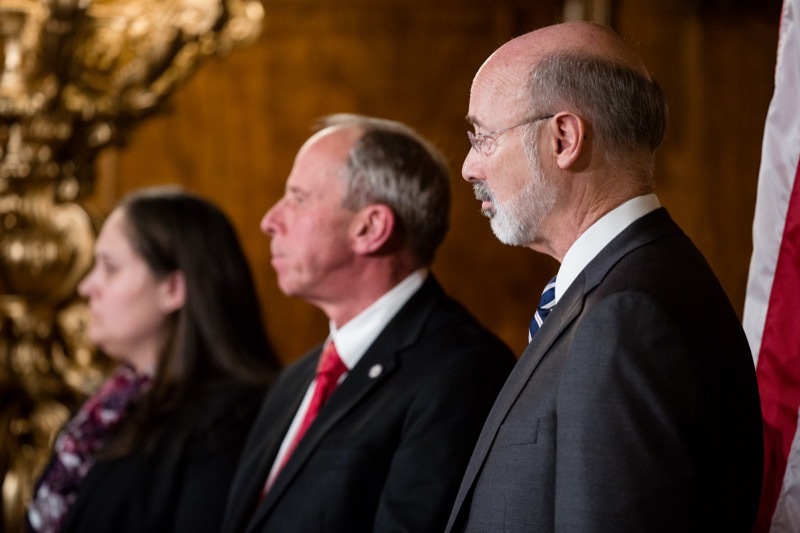 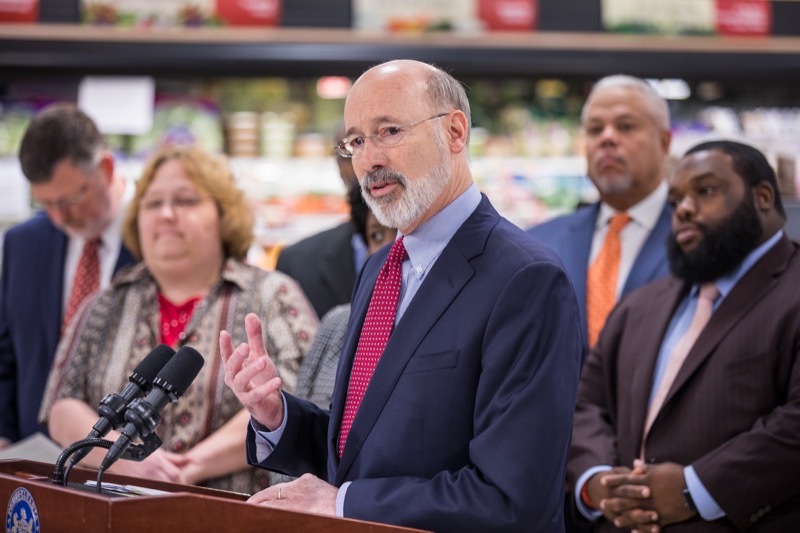 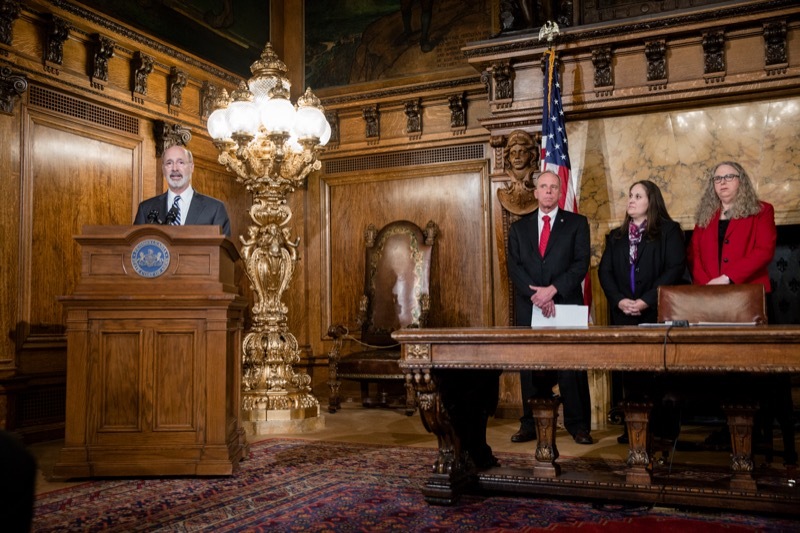 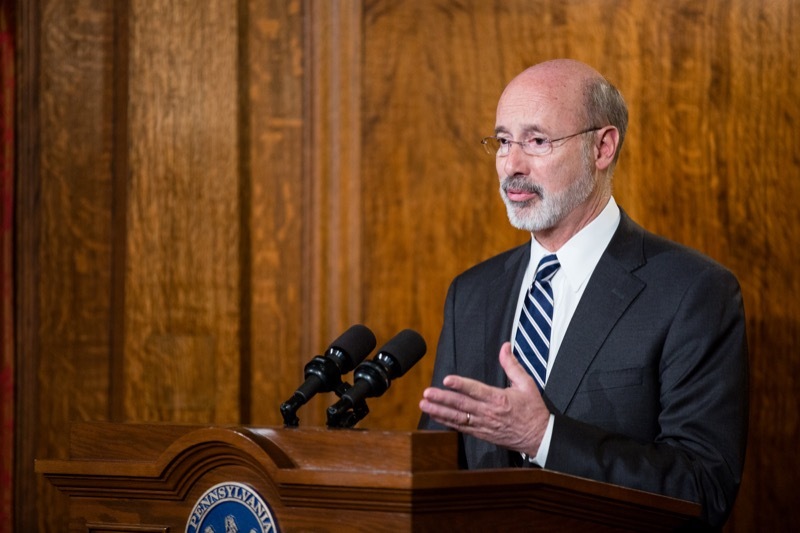 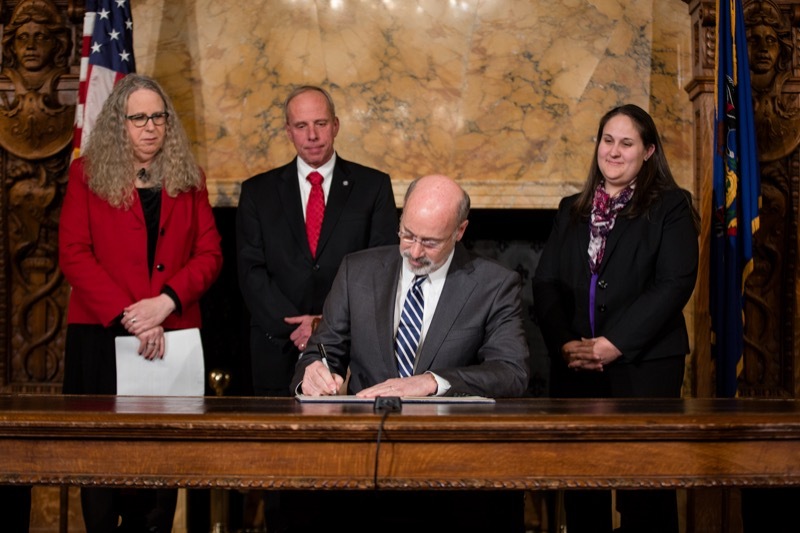 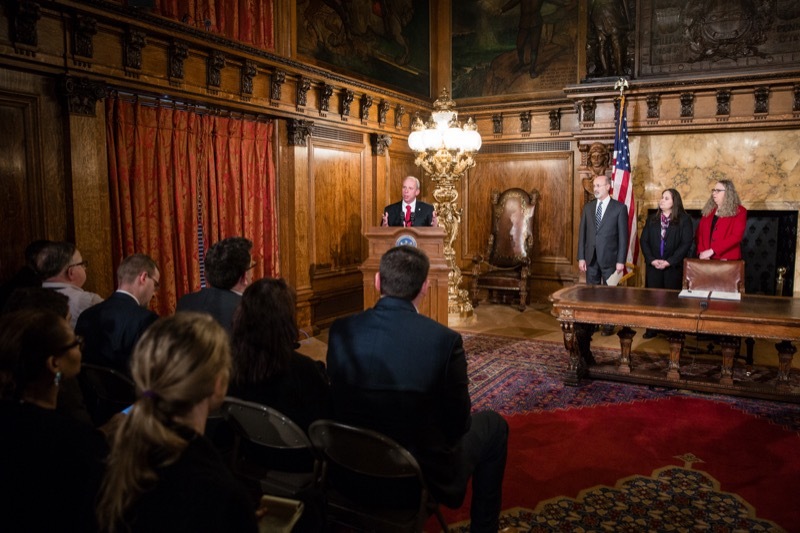 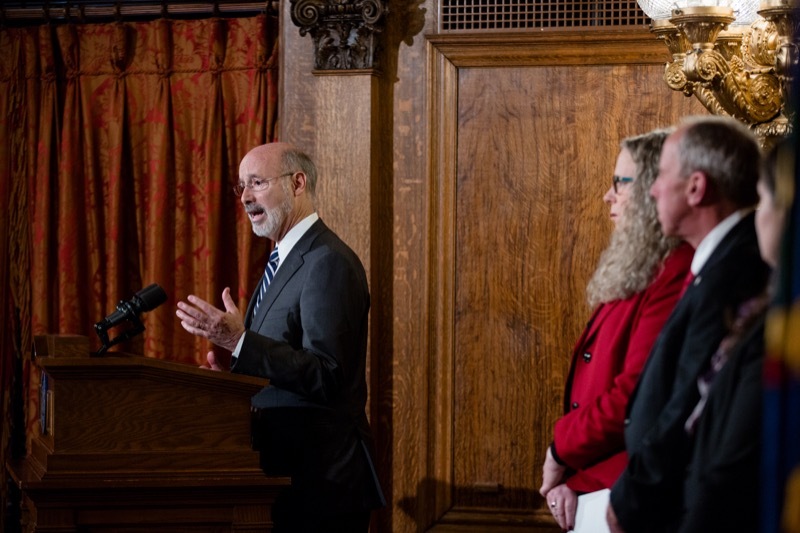 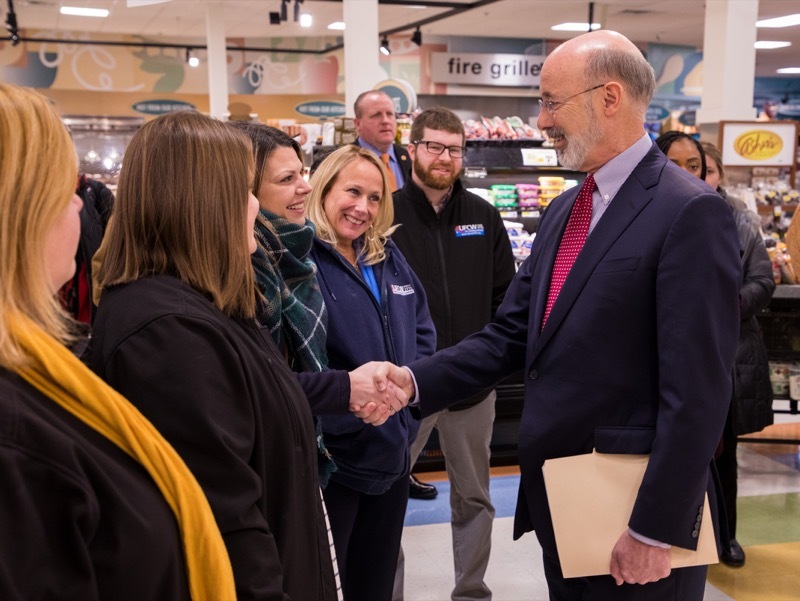 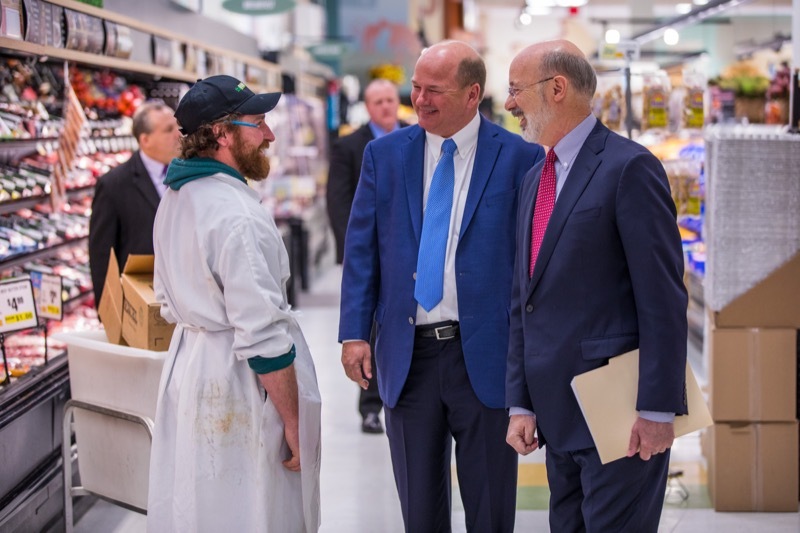 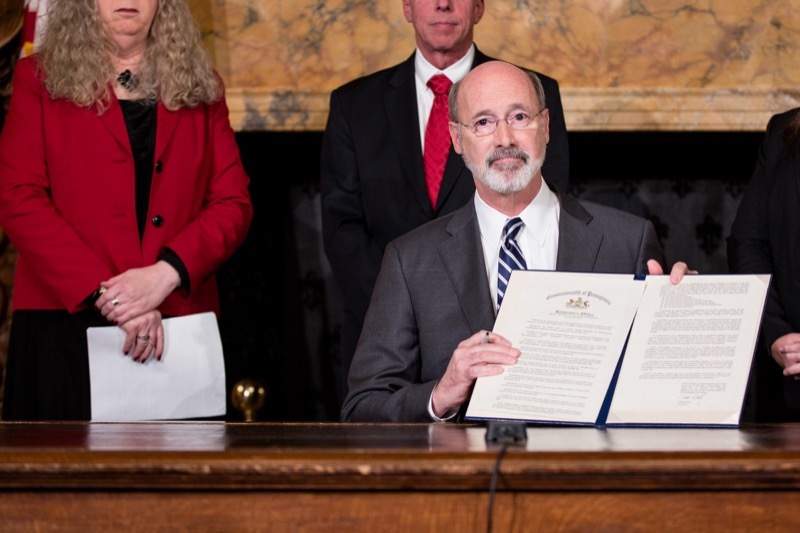 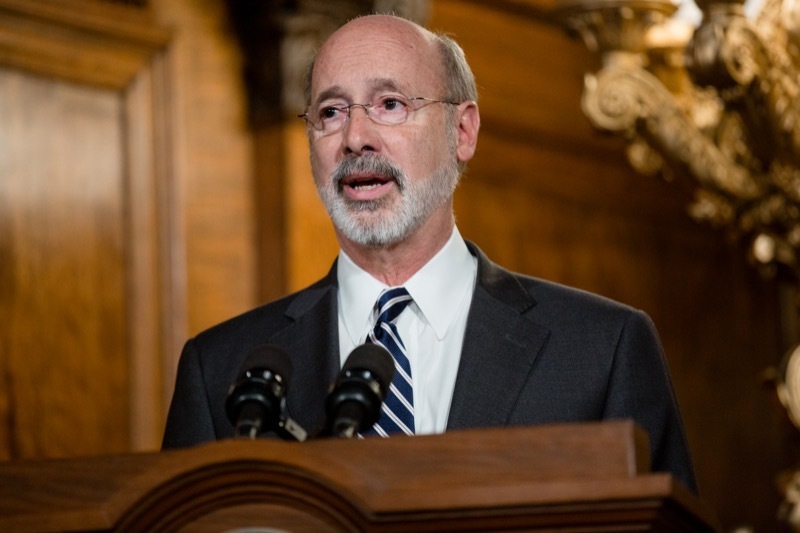 Today, as part of his 'Jobs That Pay' initiative, Governor Tom Wolf announced a proposal to strengthen the middle class by modernizing Pennsylvania's outdated overtime rules to increase the pay of nearly half-a-million people to ensure they are compensated fairly for their hard work. 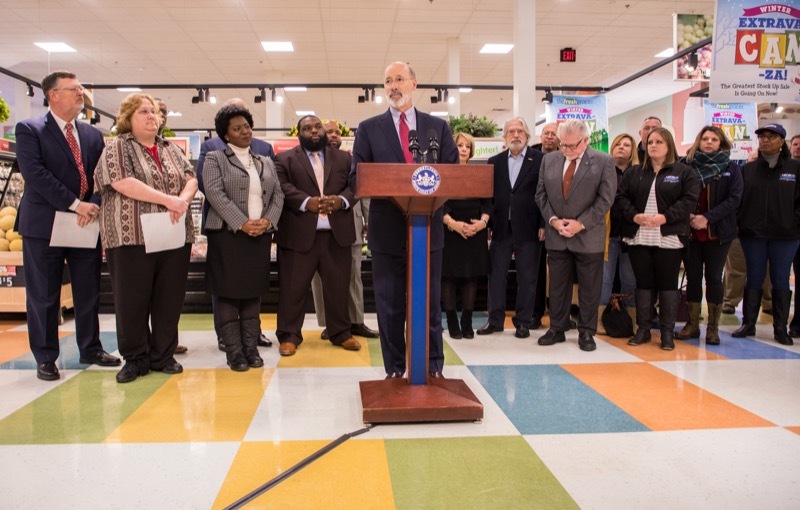 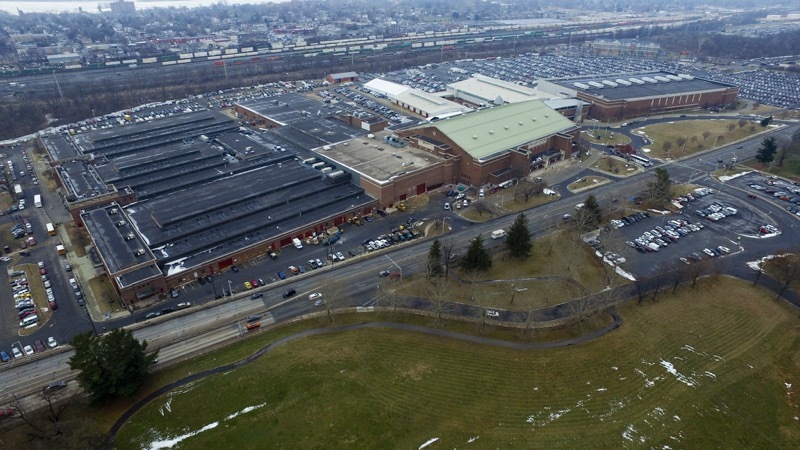 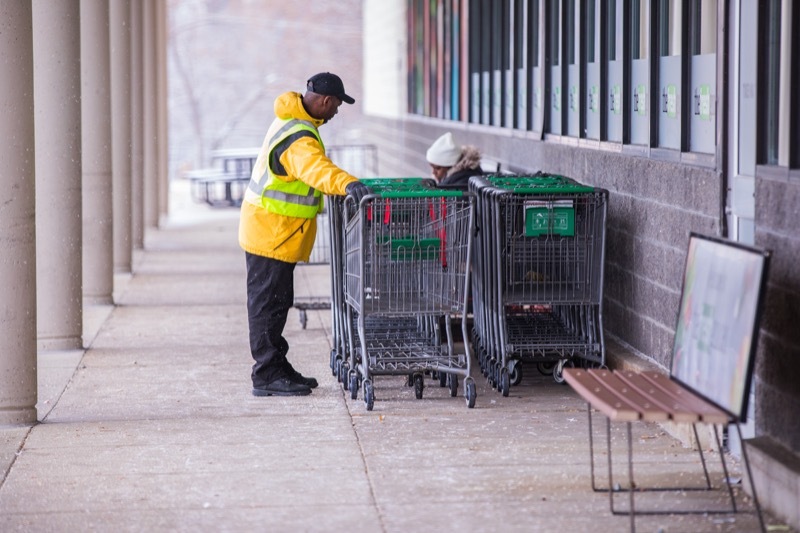 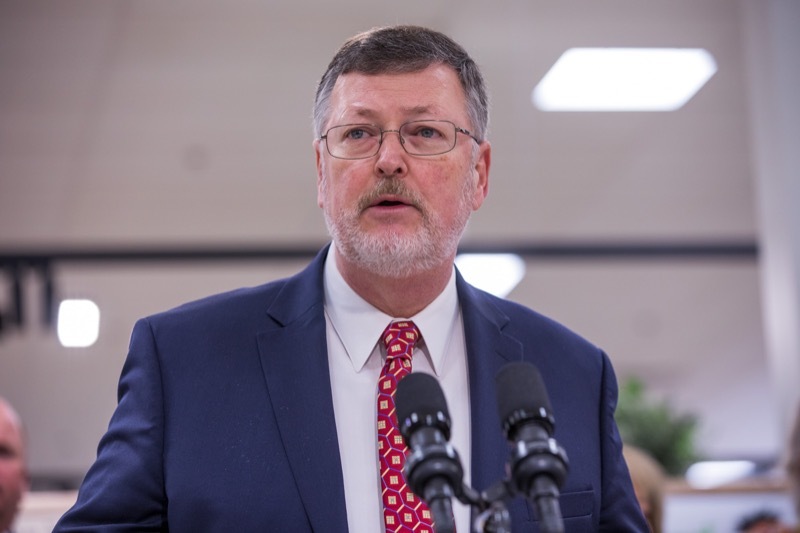 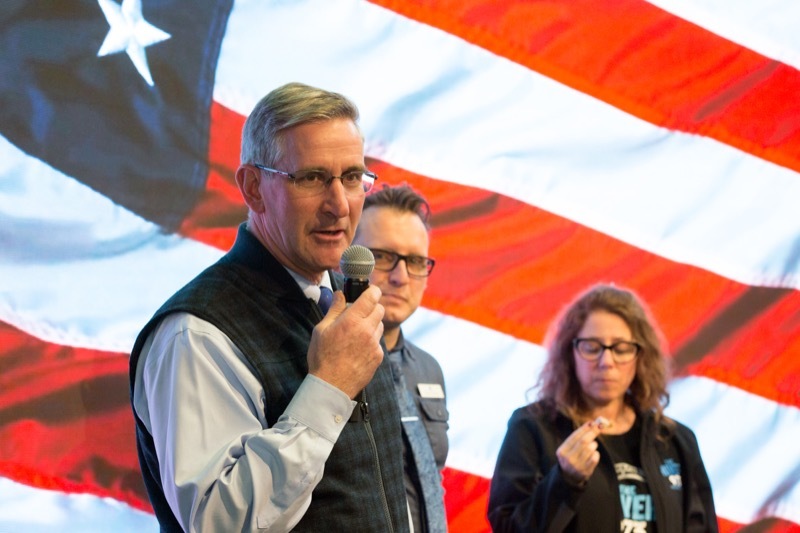 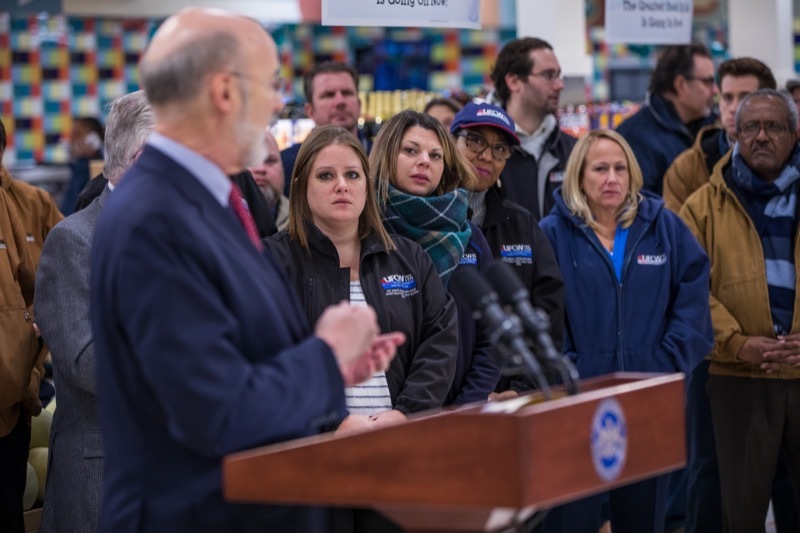 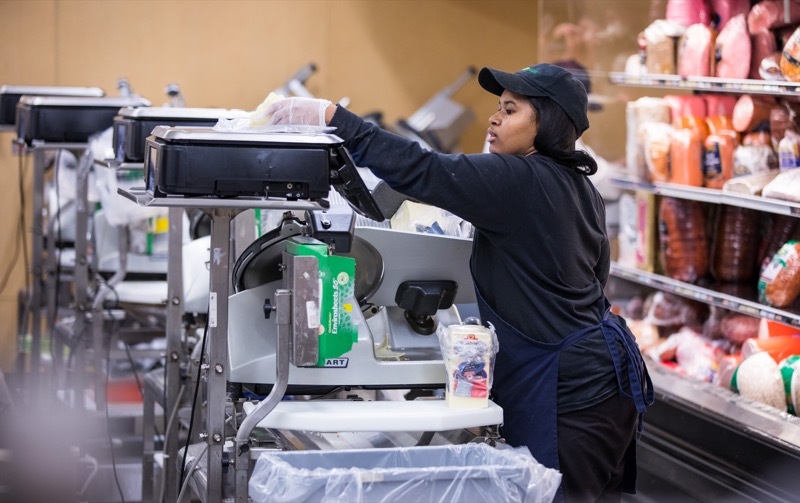 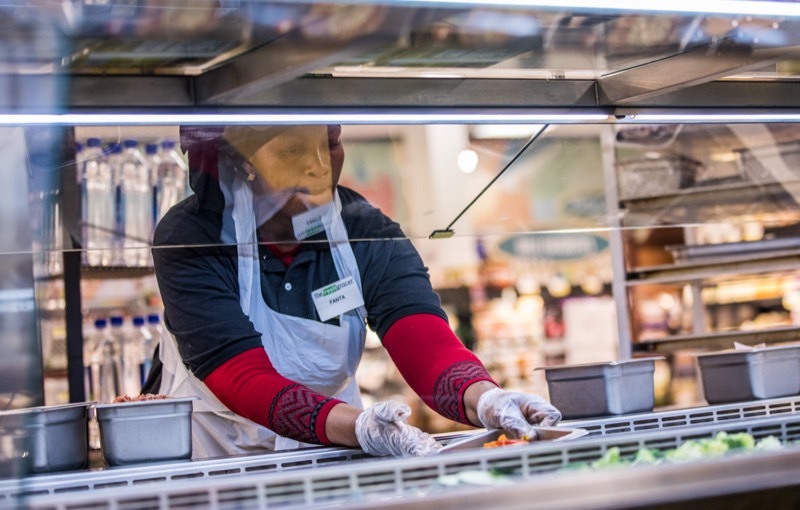 Philadelphia, PA - Today, as part of his 'Jobs That Pay' initiative, Governor Tom Wolf announced a proposal to strengthen the middle class by modernizing Pennsylvania's outdated overtime rules to increase the pay of nearly half-a-million people to ensure they are compensated fairly for their hard work. 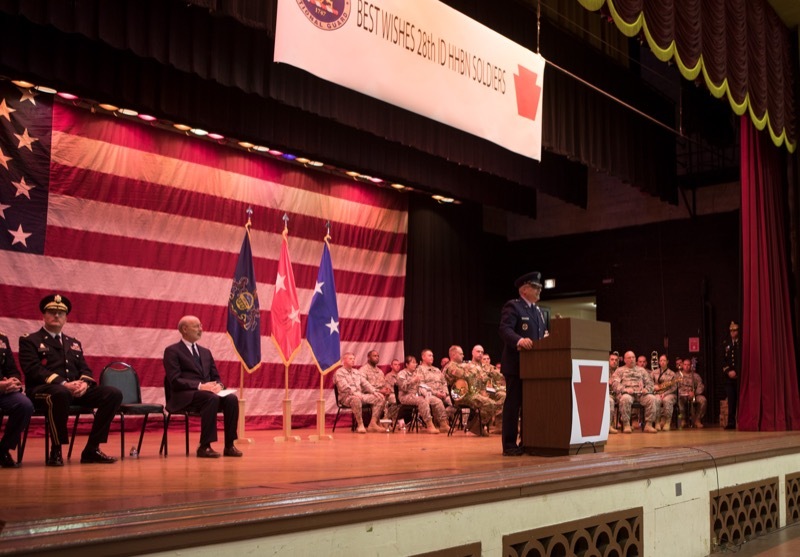 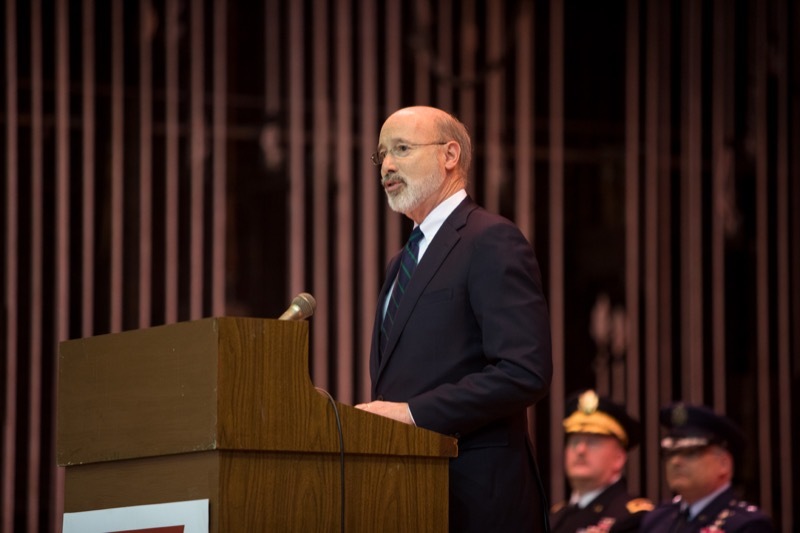 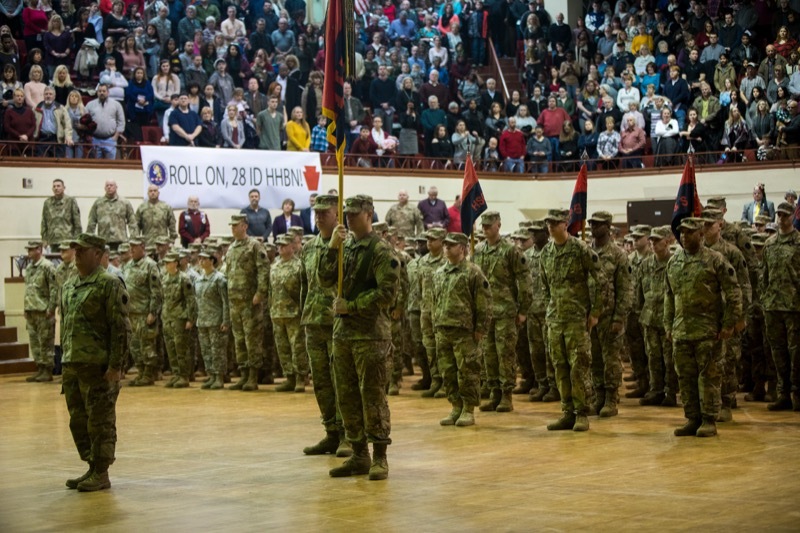 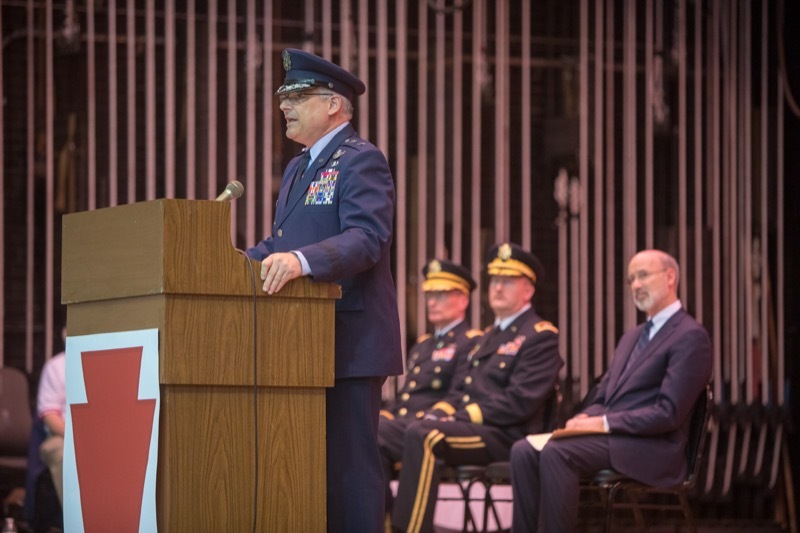 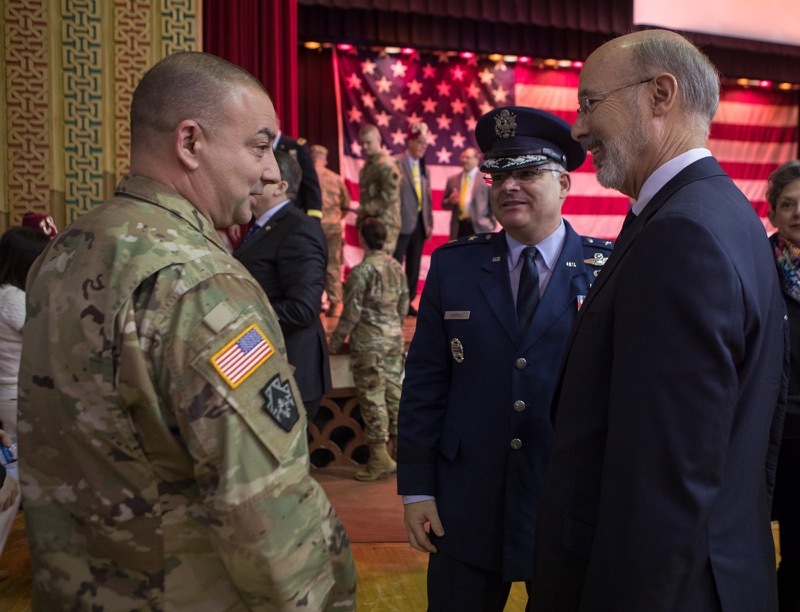 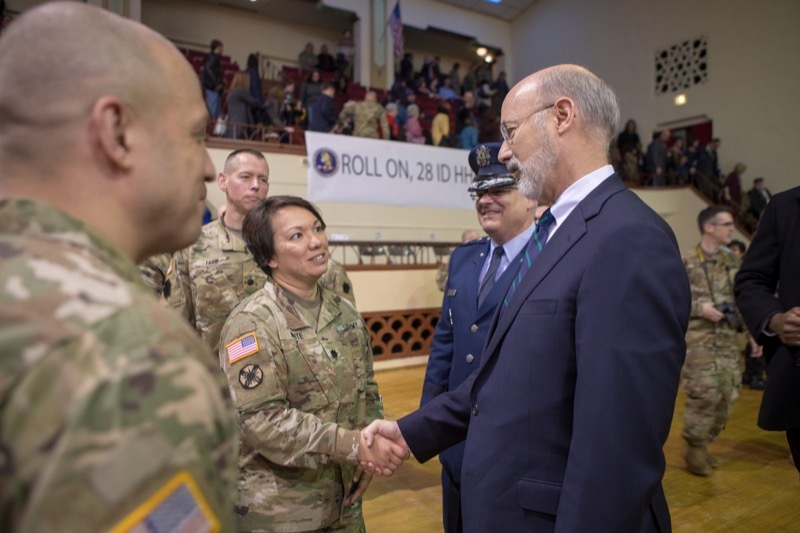 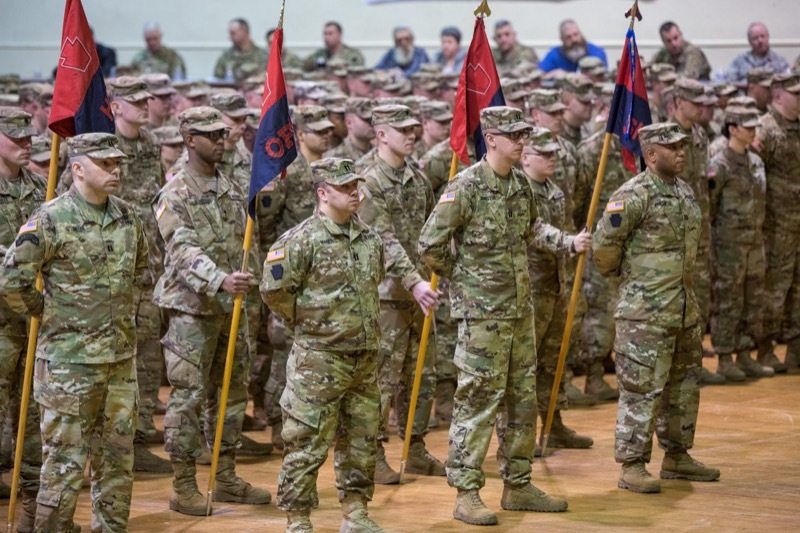 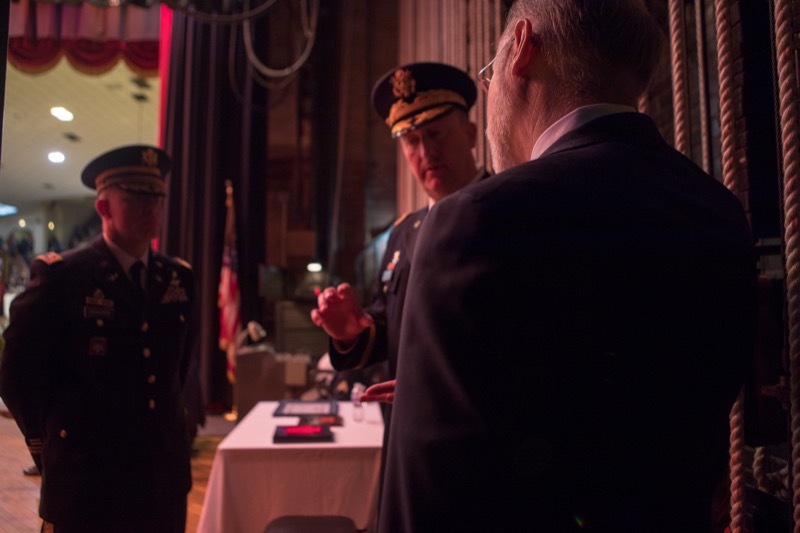 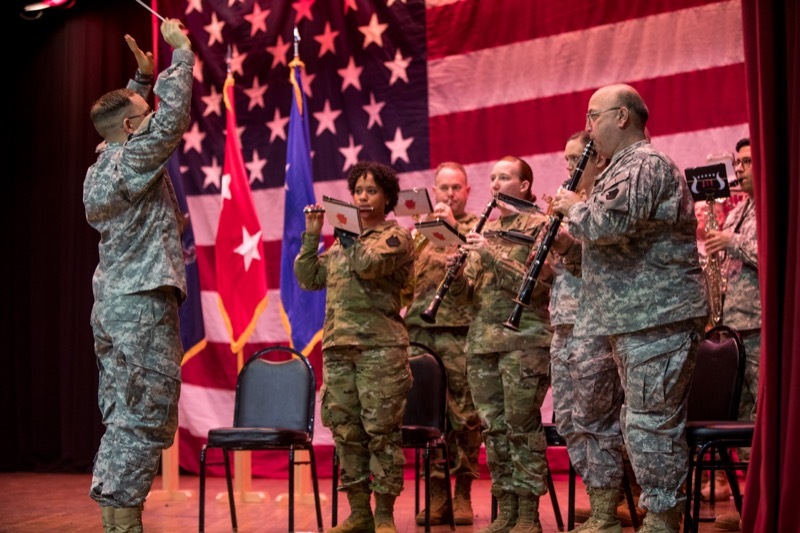 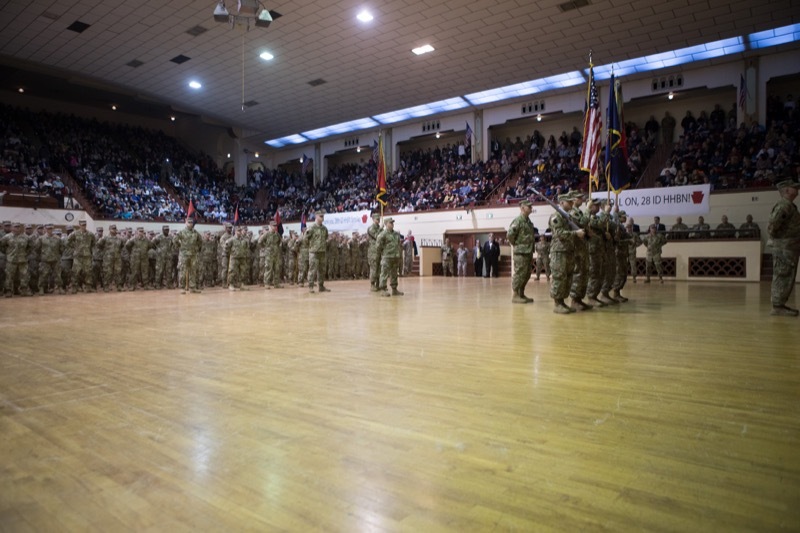 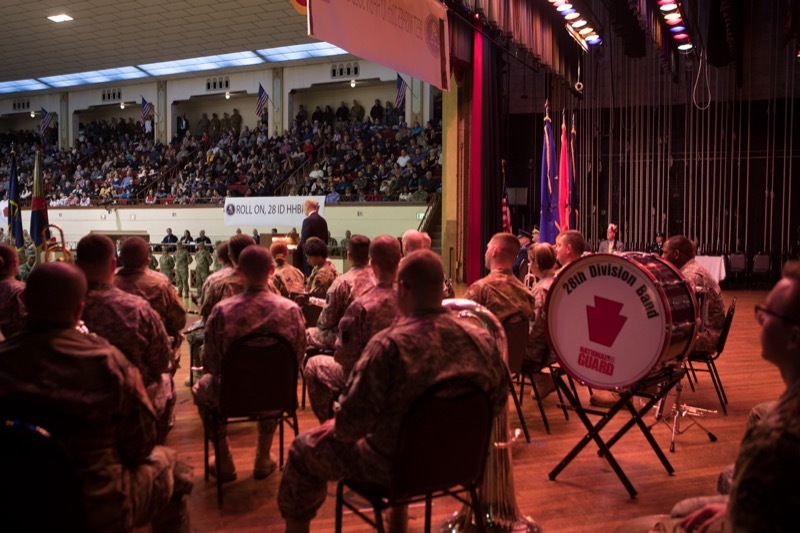 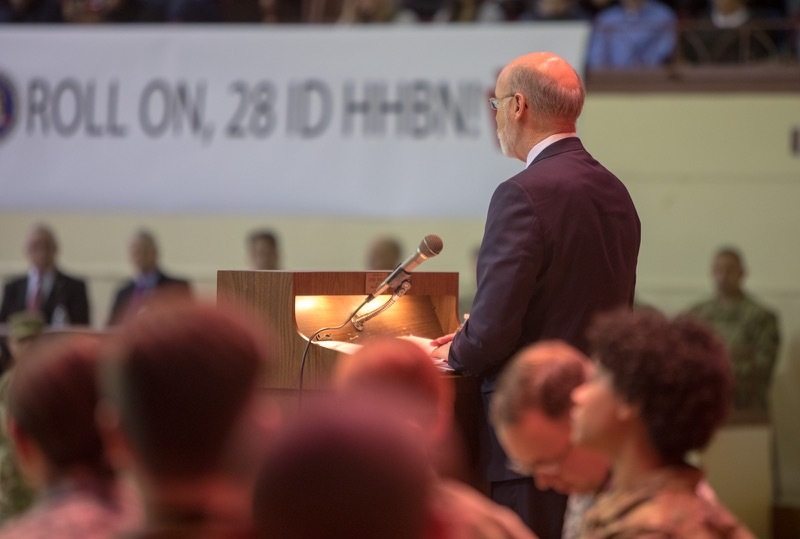 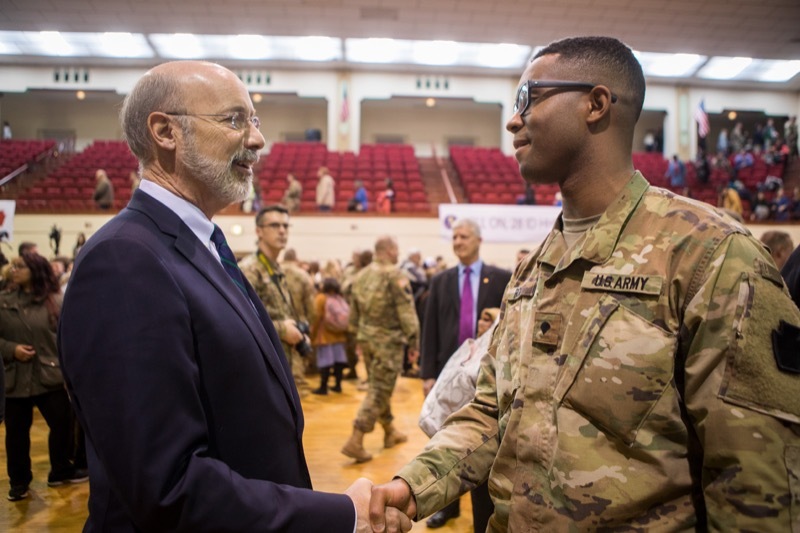 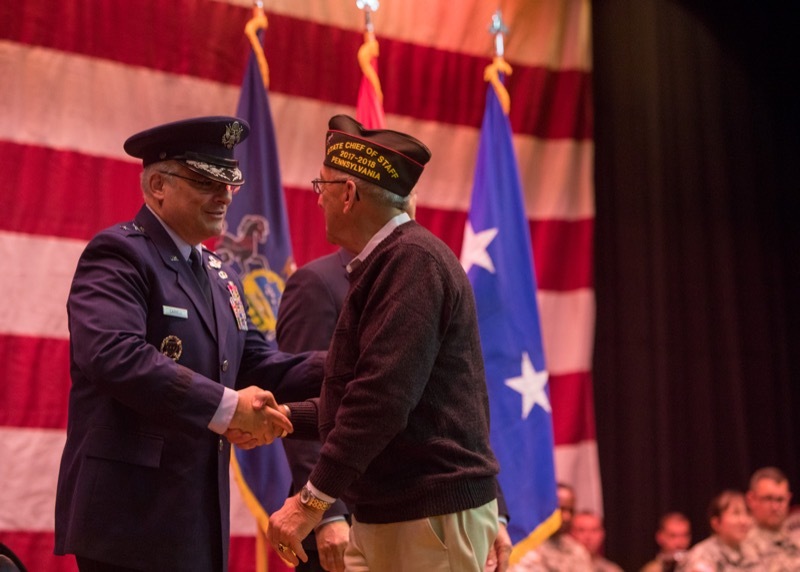 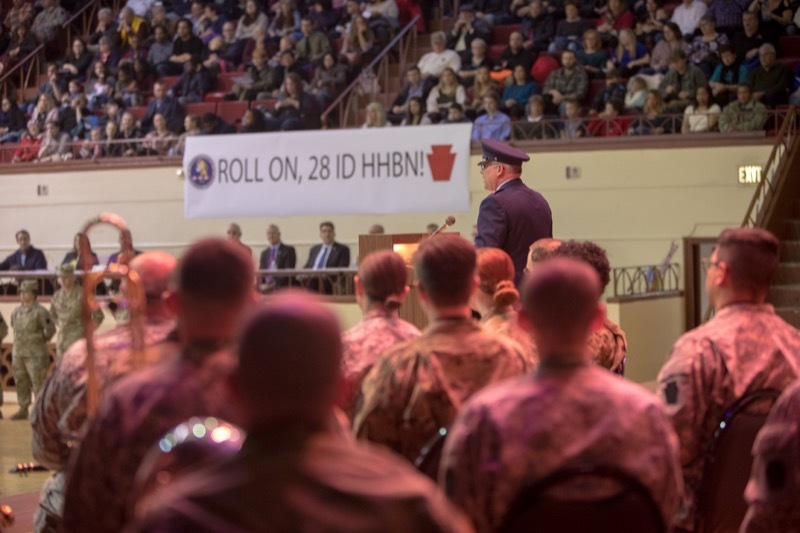 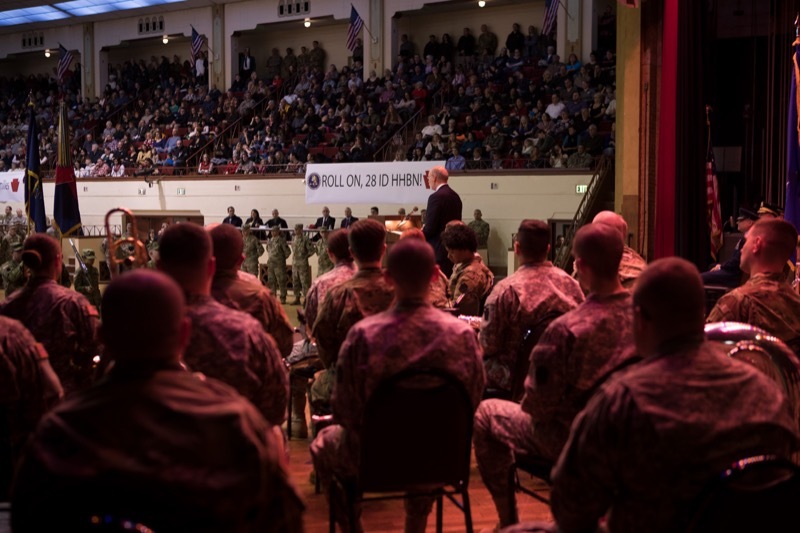 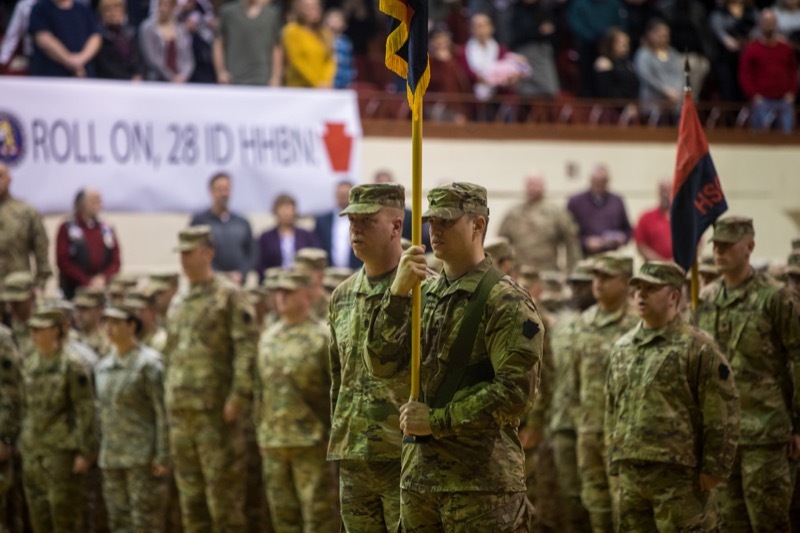 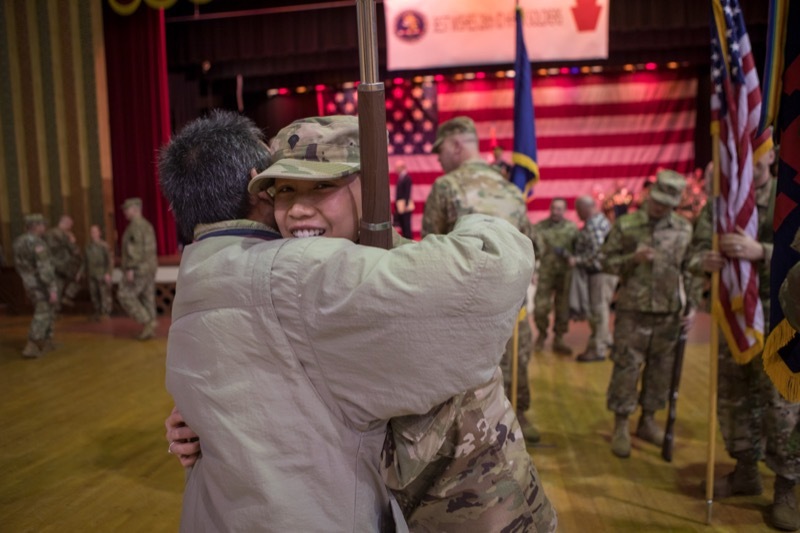 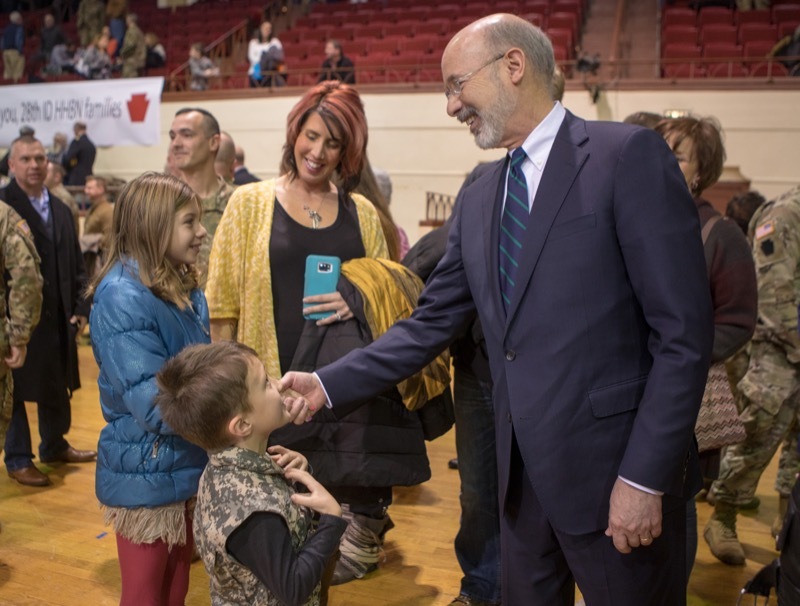 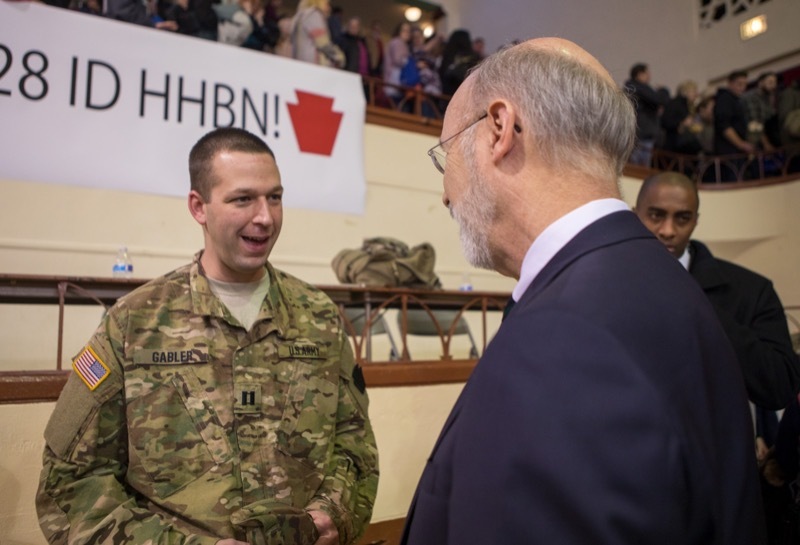 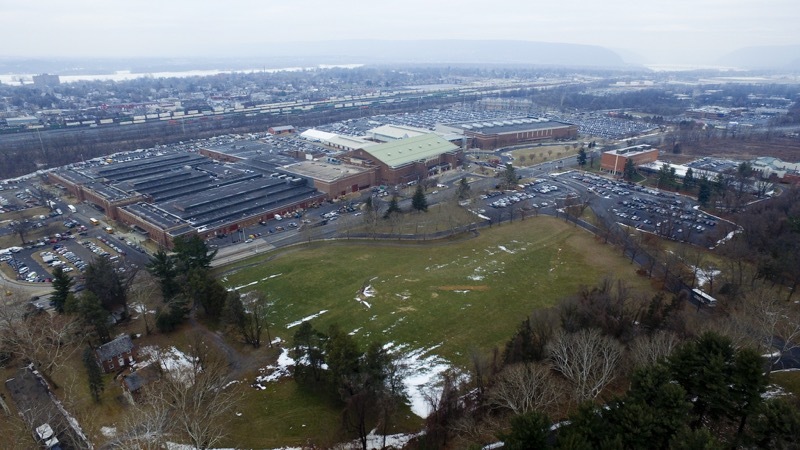 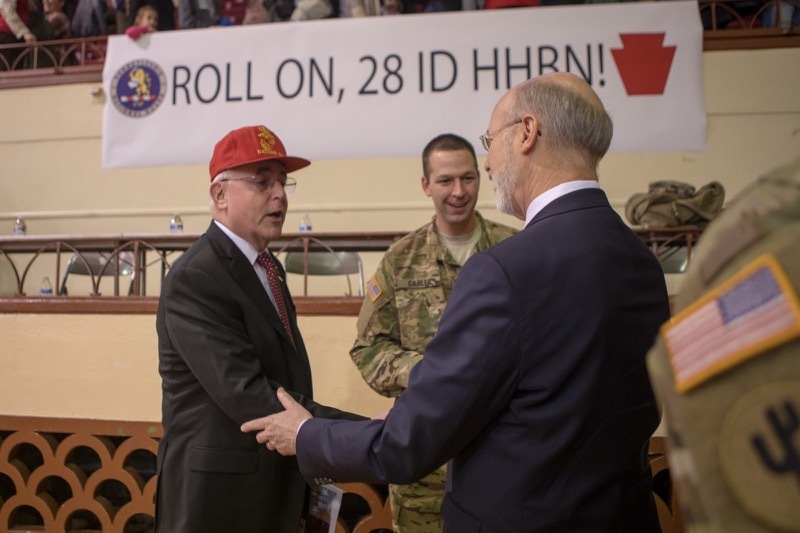 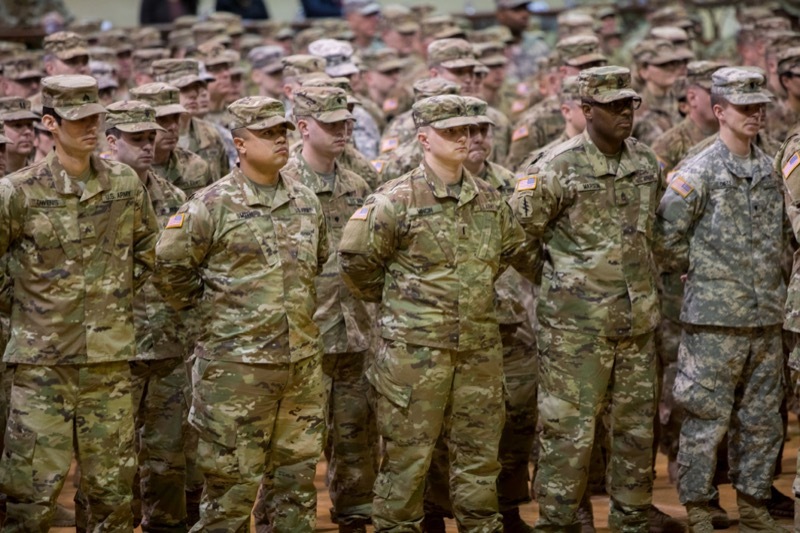 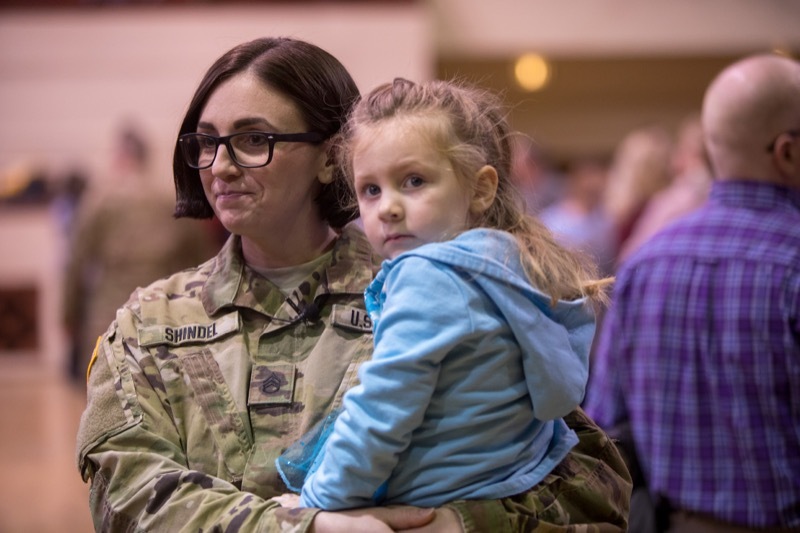 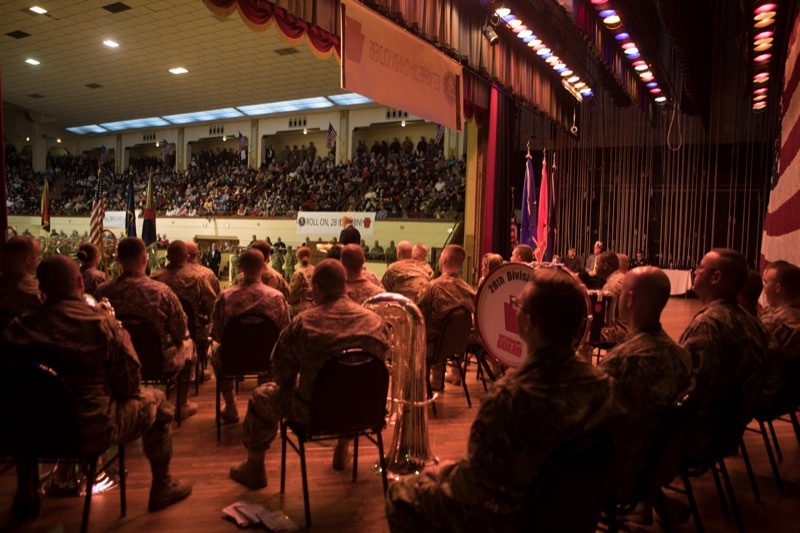 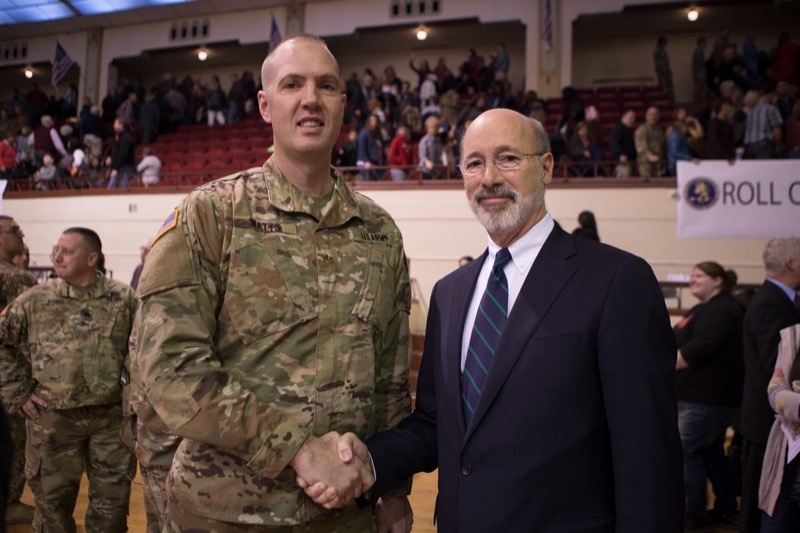 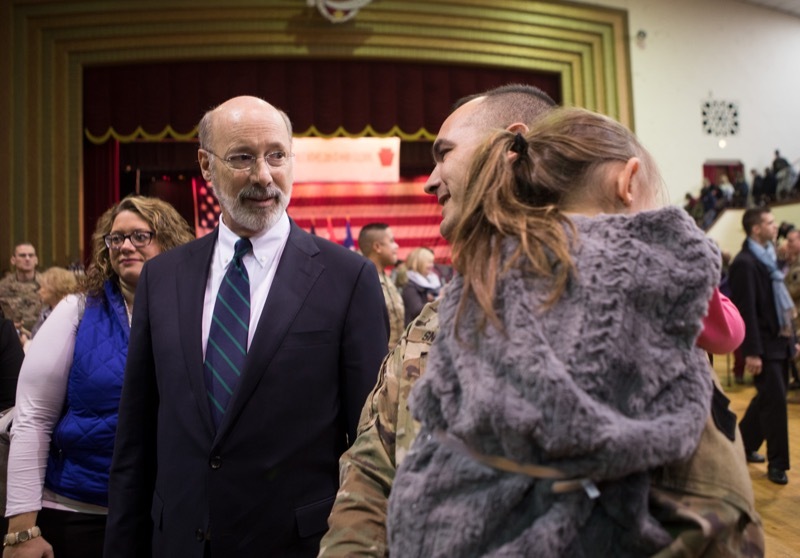 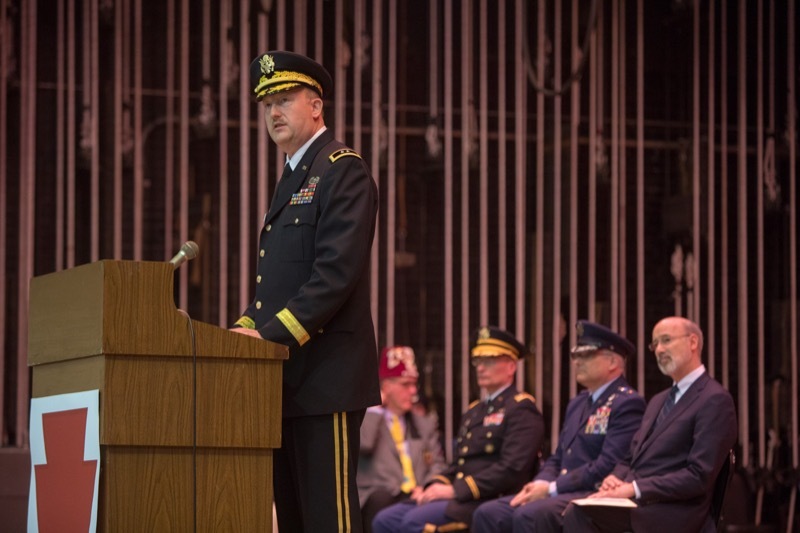 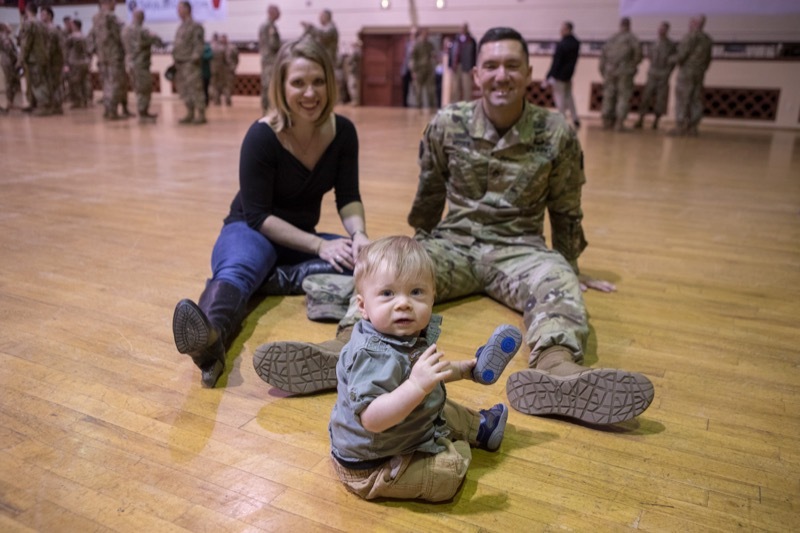 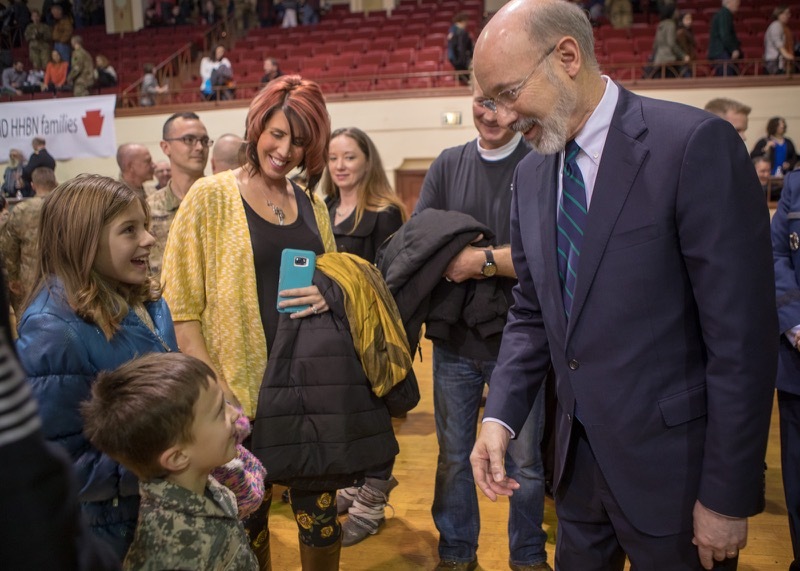 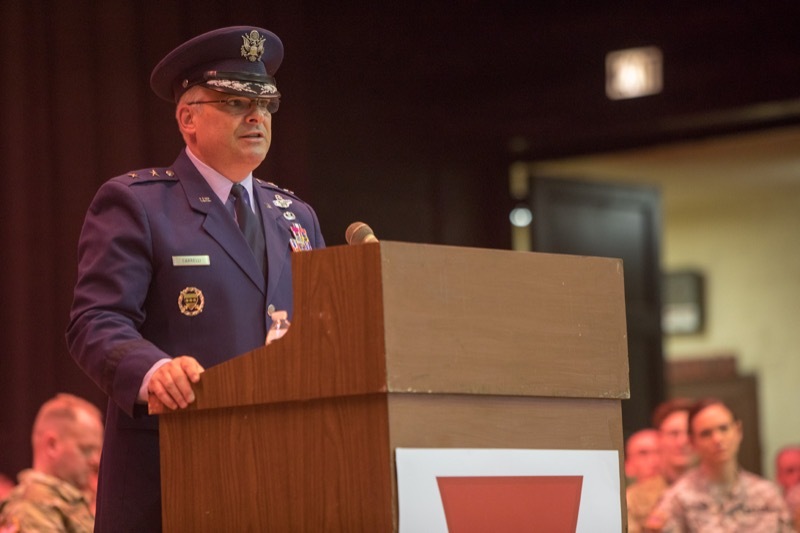 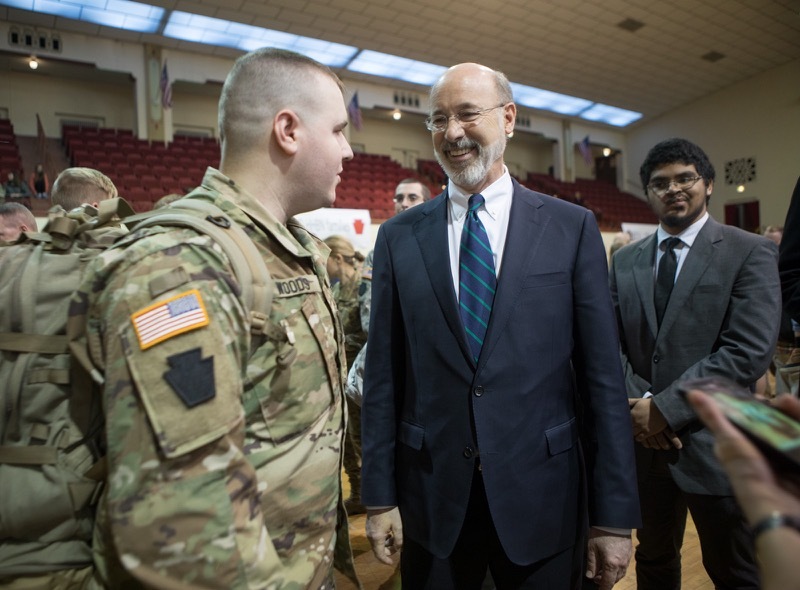 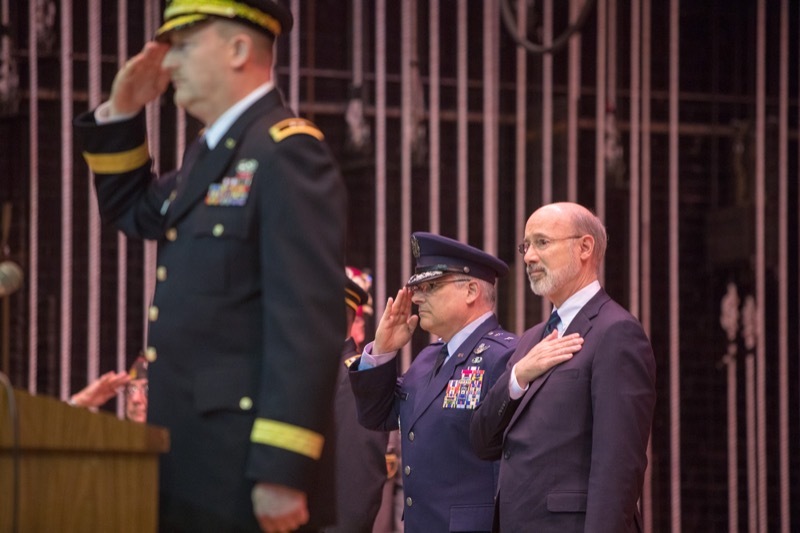 Governor Tom Wolf joined approximately 500 Soldiers with the Pennsylvania National Guard's 28th Infantry Division Headquarters and Headquarters Battalion (HHBN) as they were honored in a ceremony at the Zembo Shrine in Harrisburg today as they prepare to depart for a deployment to the Middle East in support of Operation Spartan Shield (OSS). 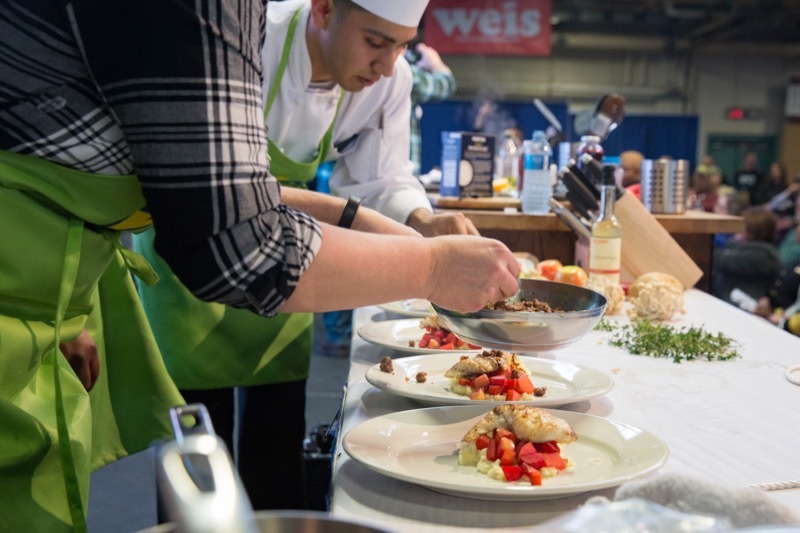 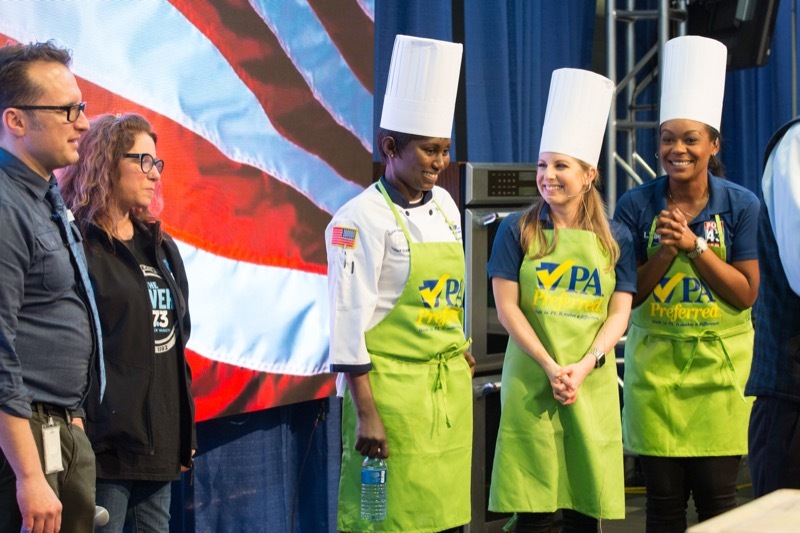 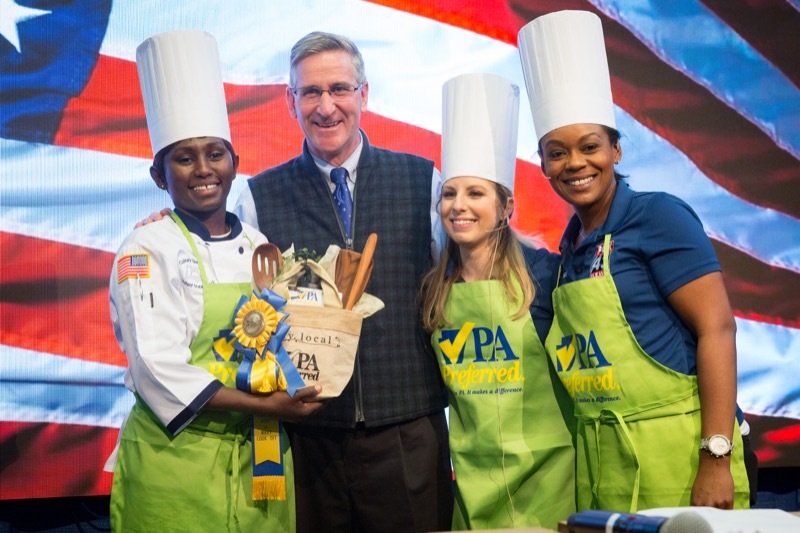 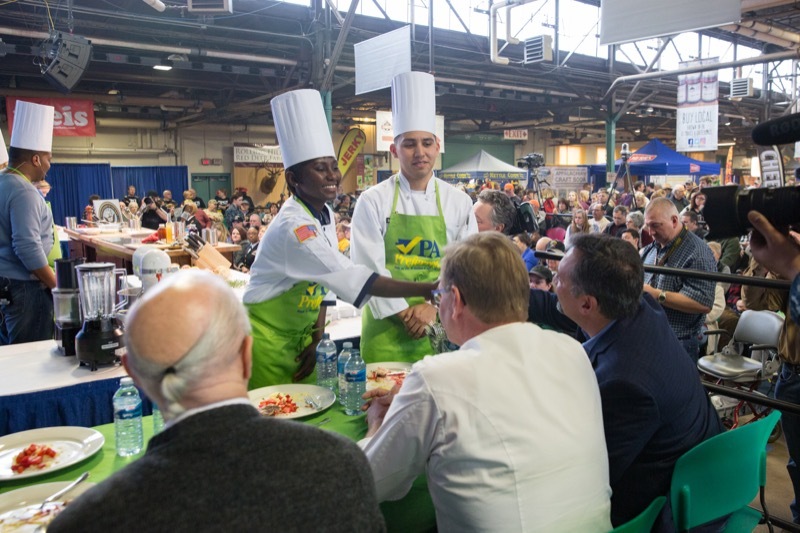 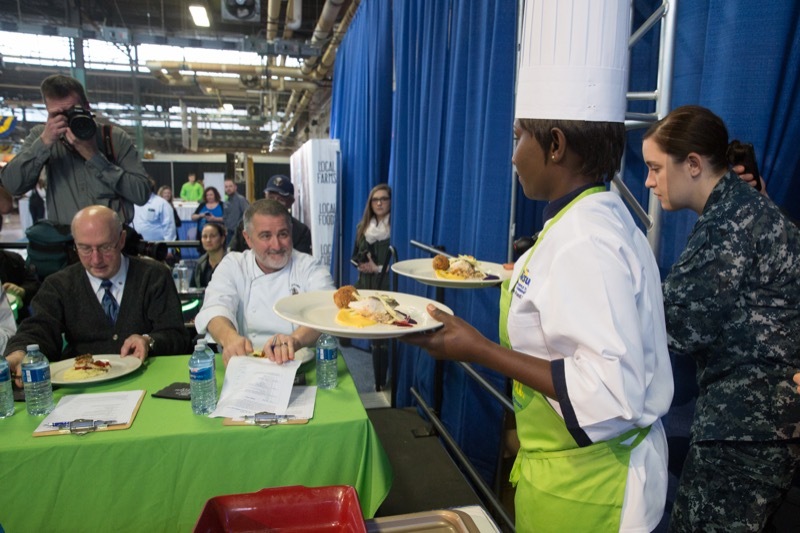 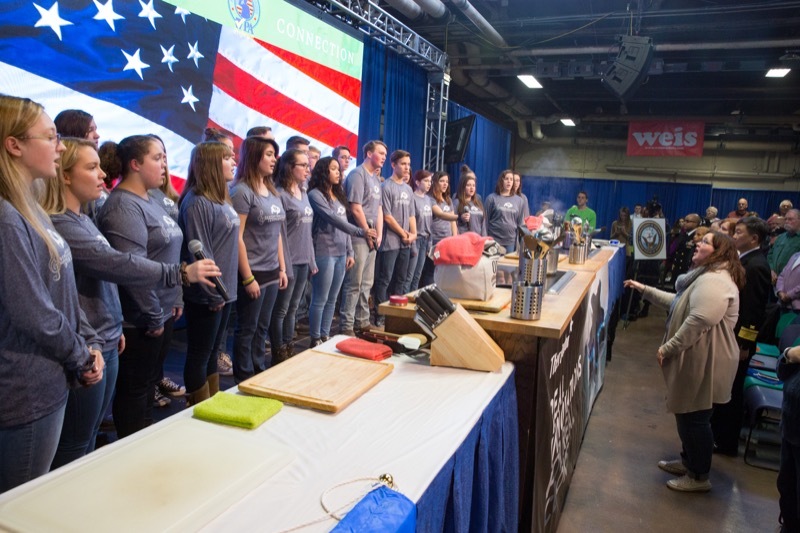 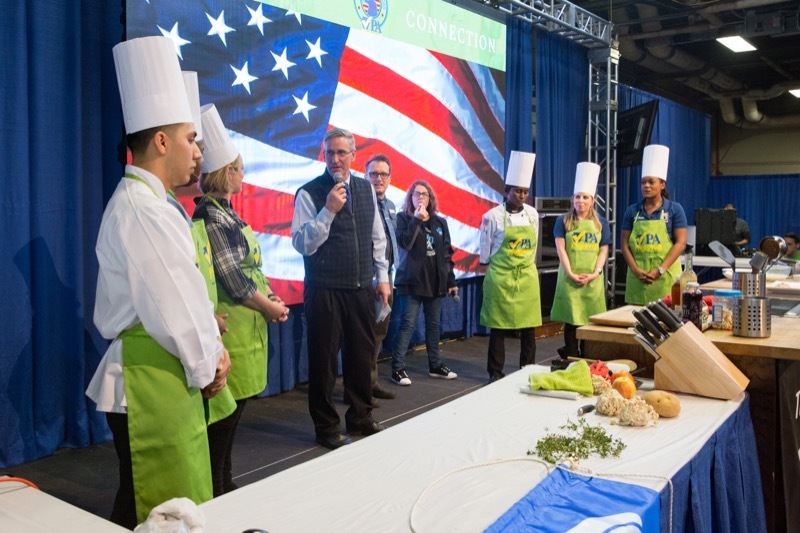 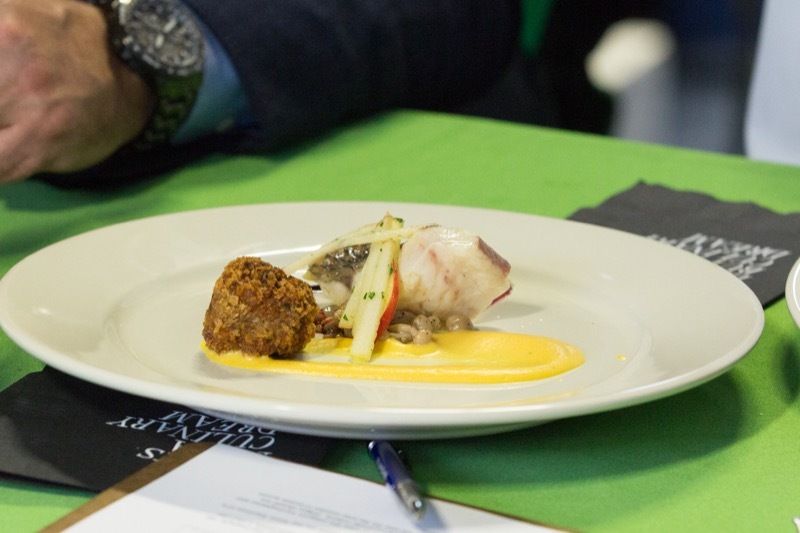 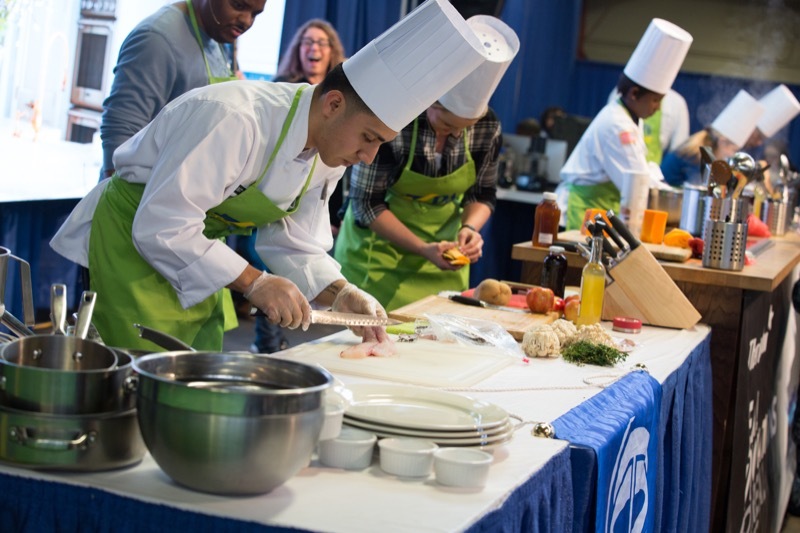 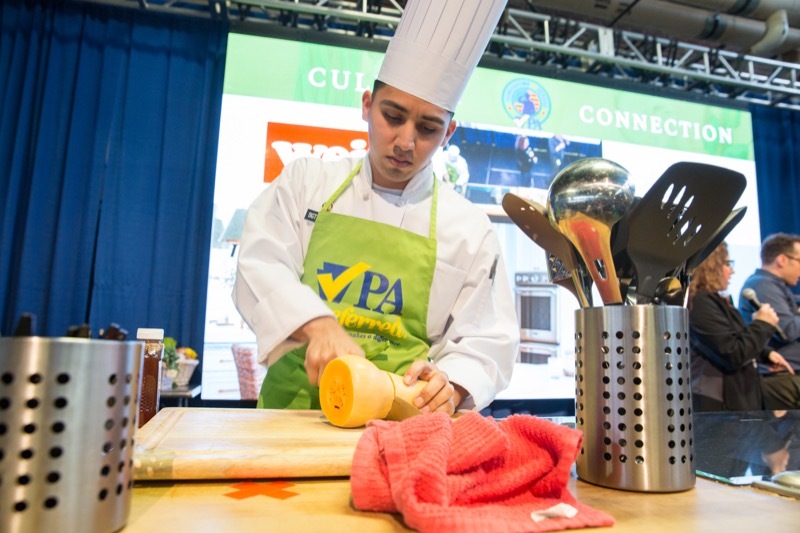 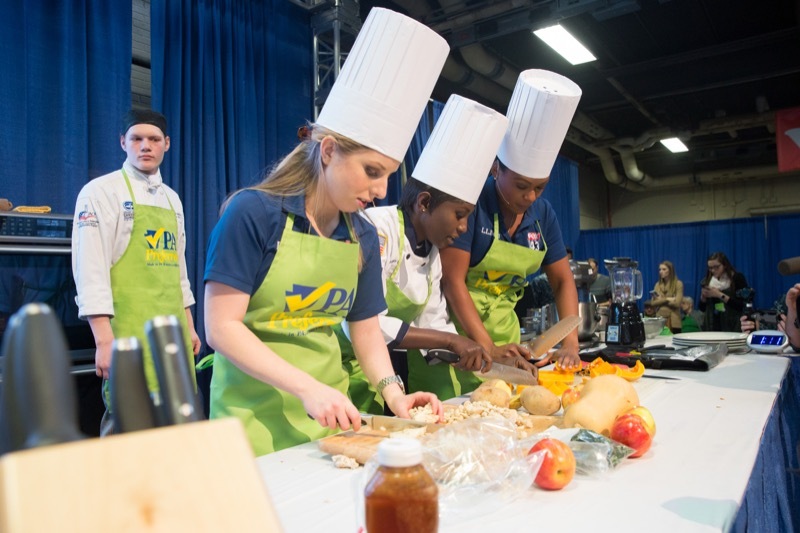 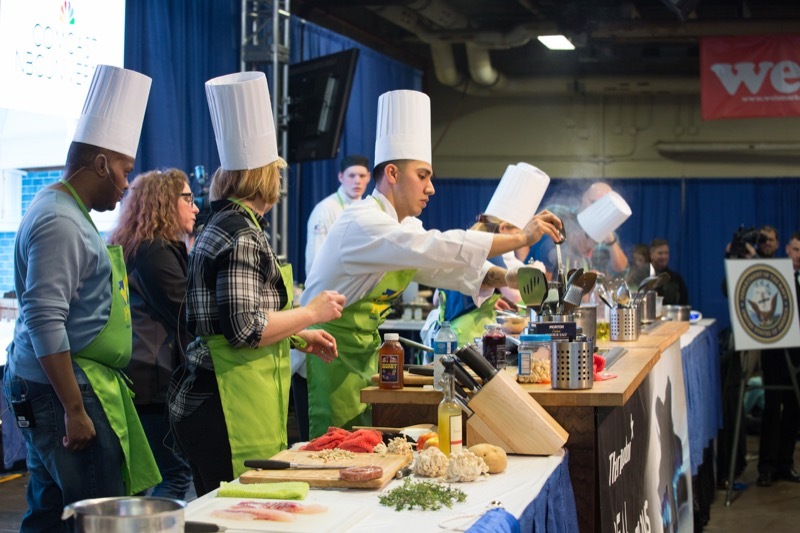 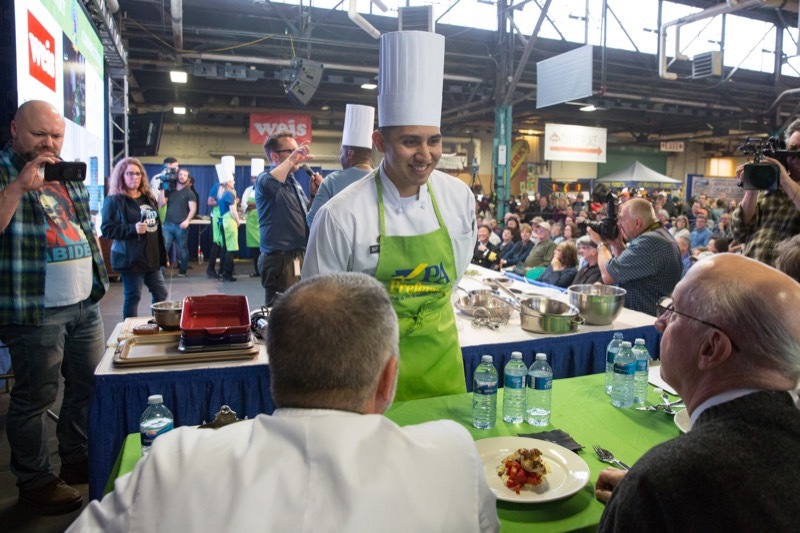 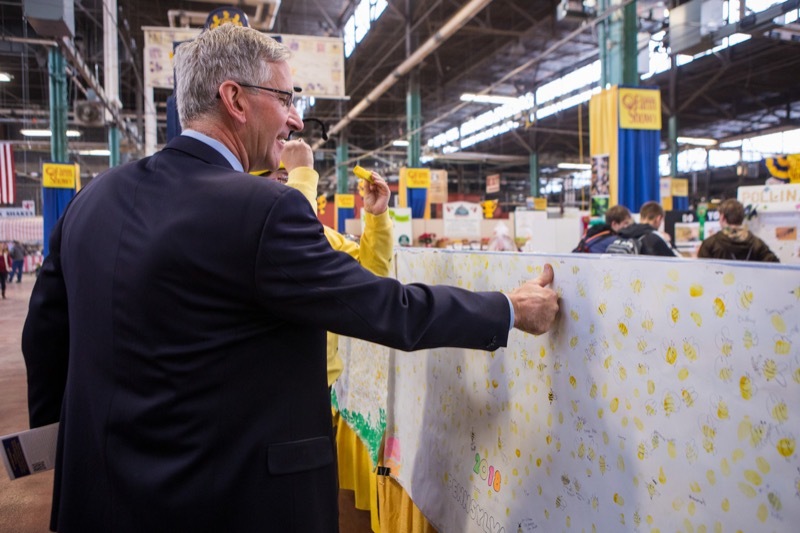 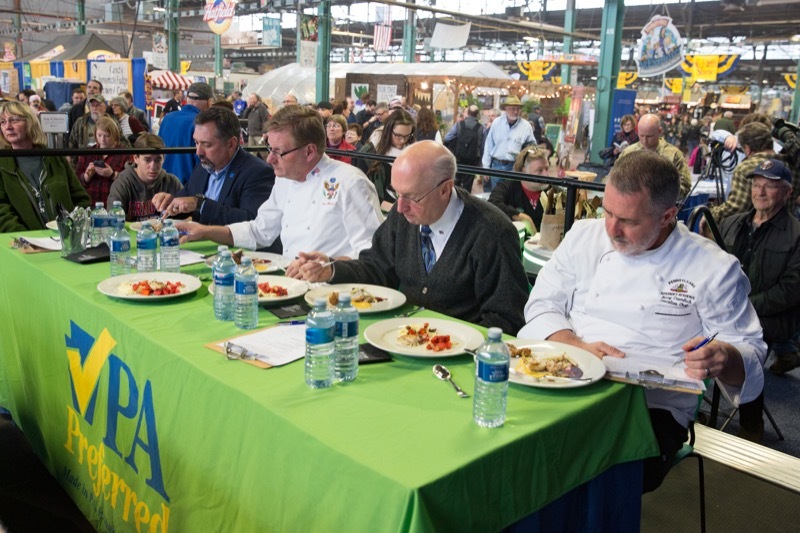 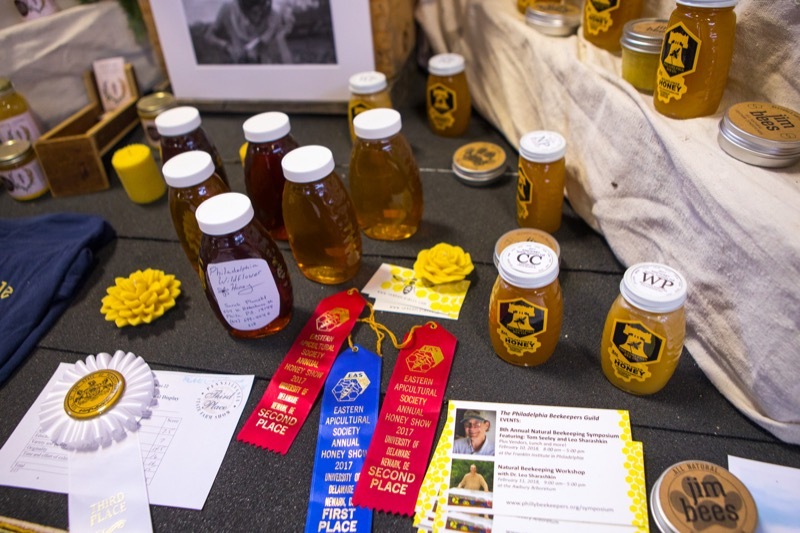 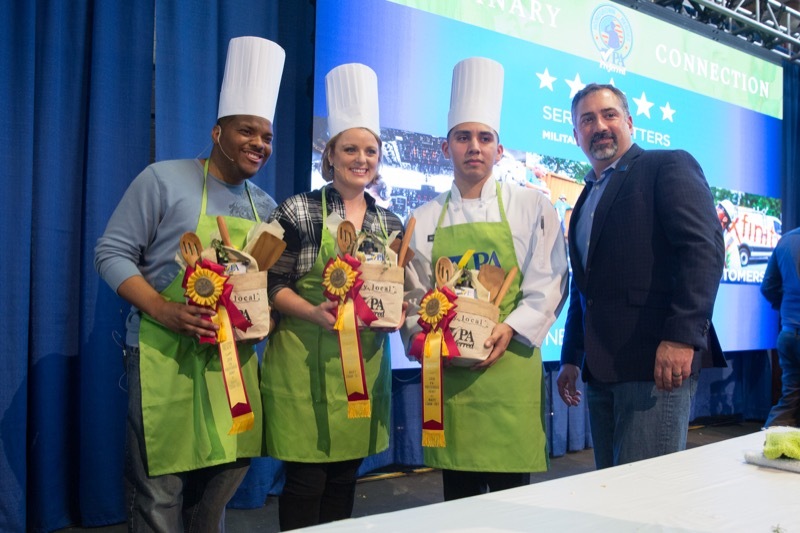 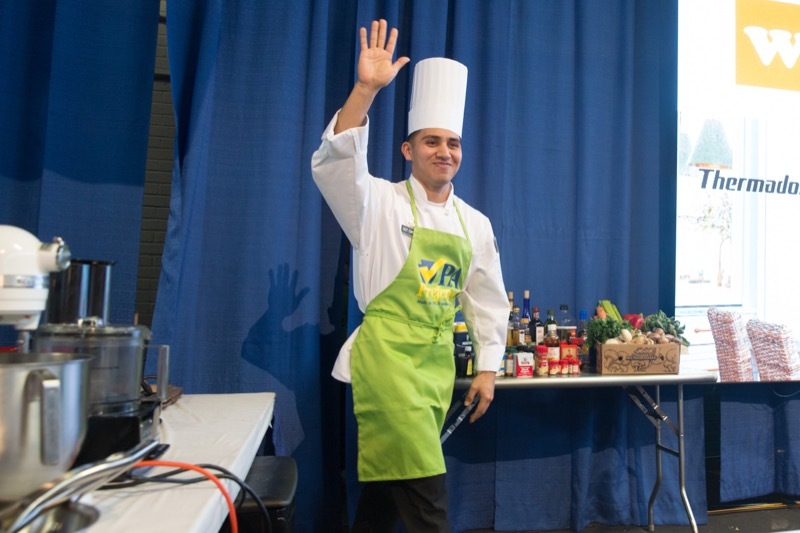 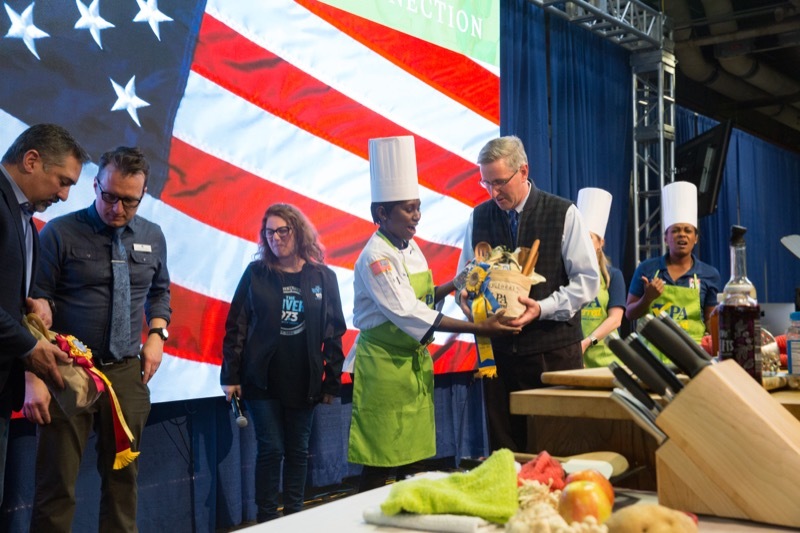 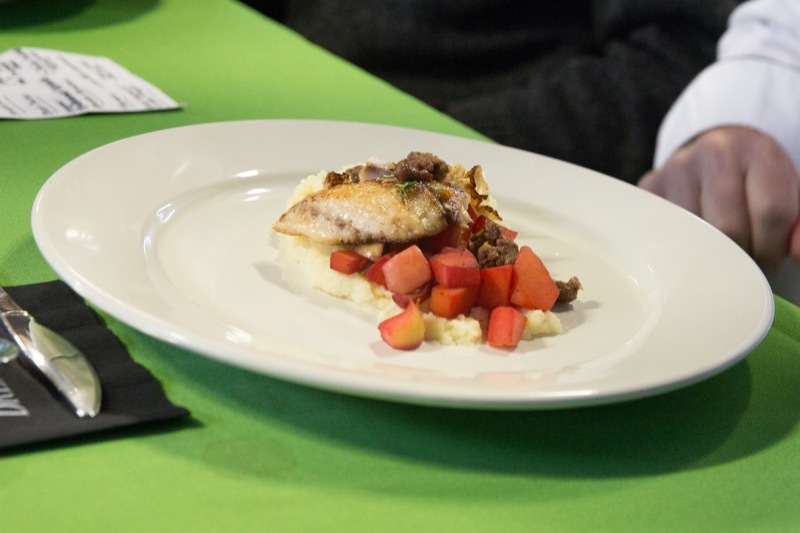 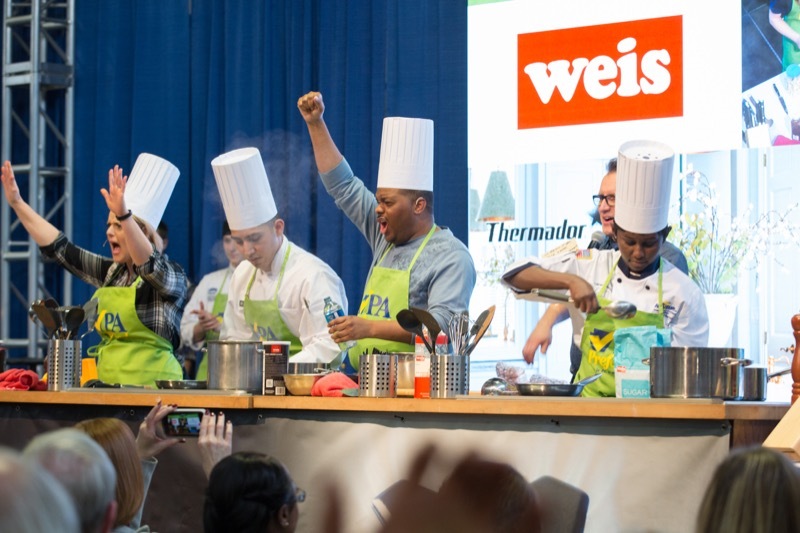 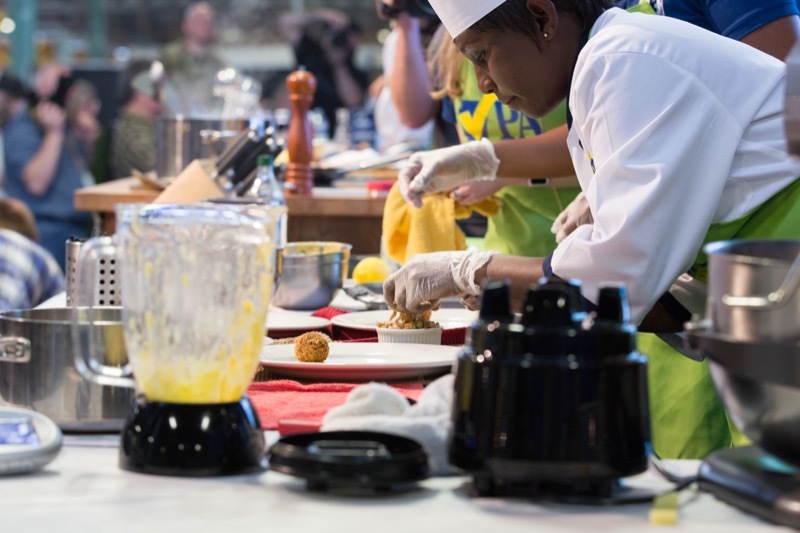 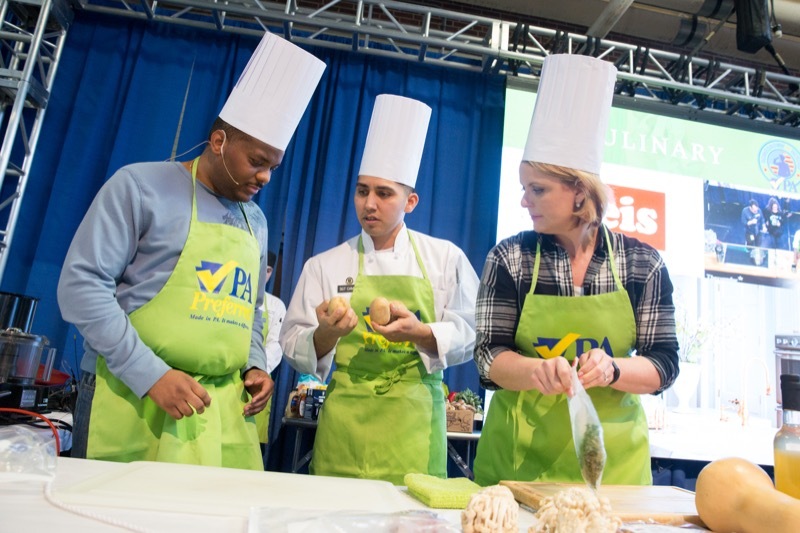 Today Team Navy claimed victory during the Army v. Navy Cook-Off on the PA Preferred Culinary Connection Stage at the 102nd Pennsylvania Farm Show. 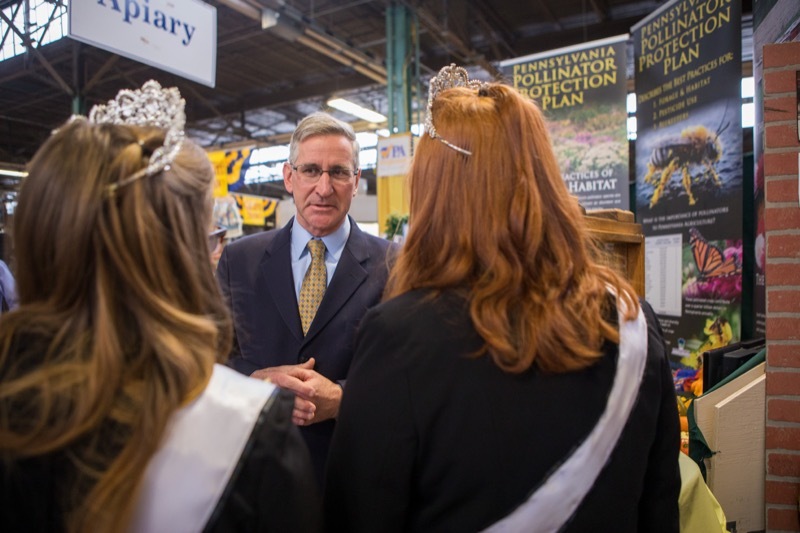 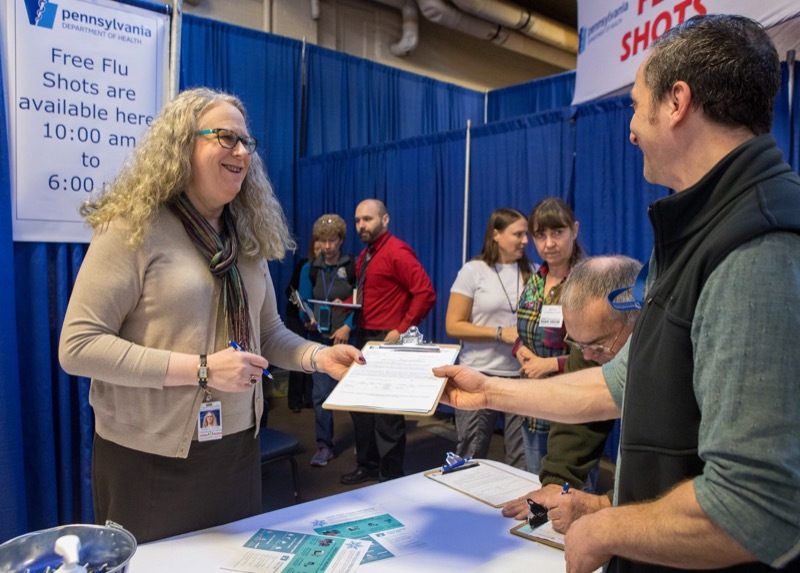 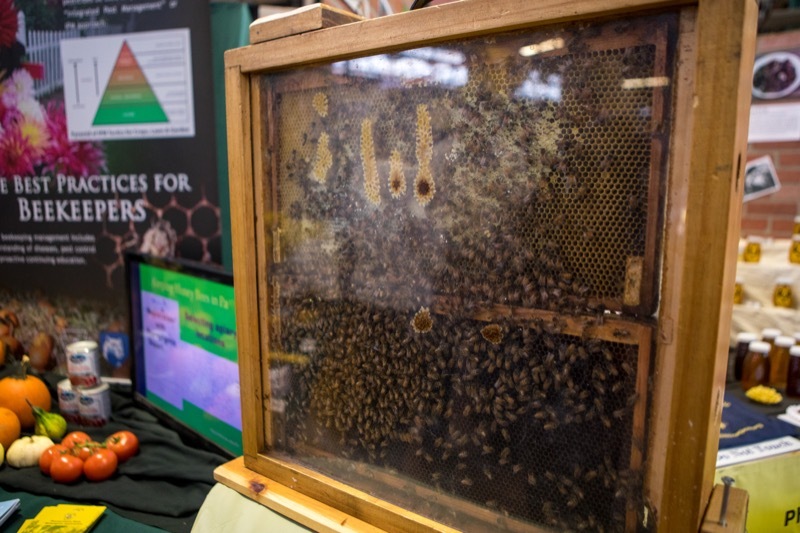 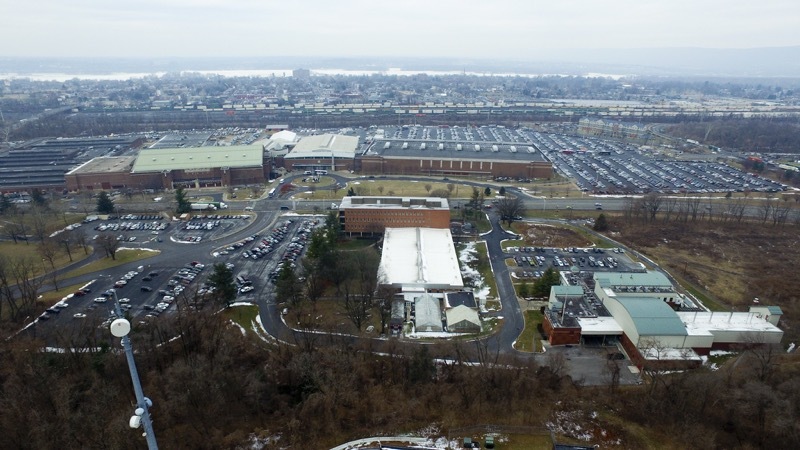 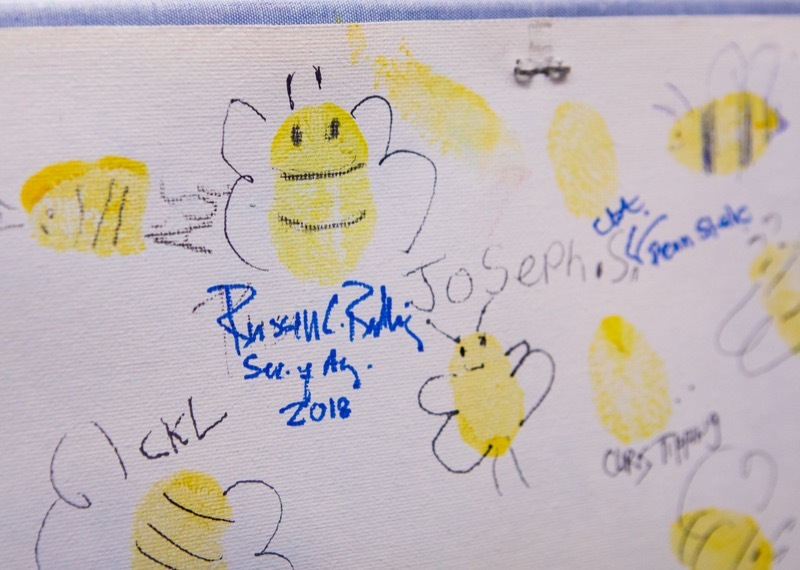 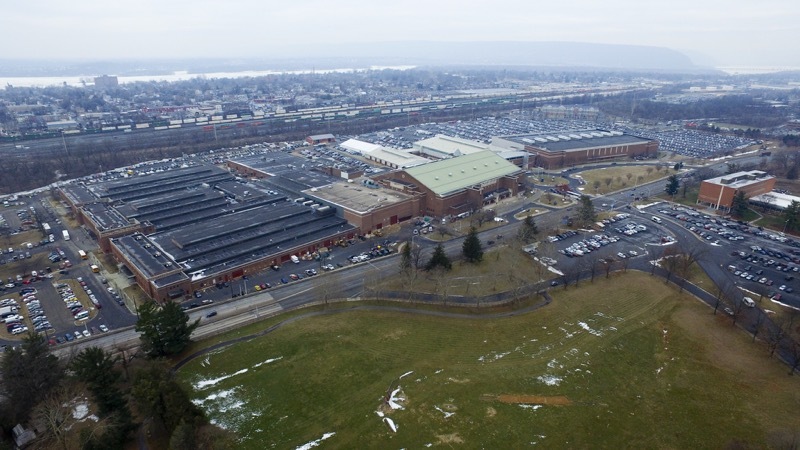 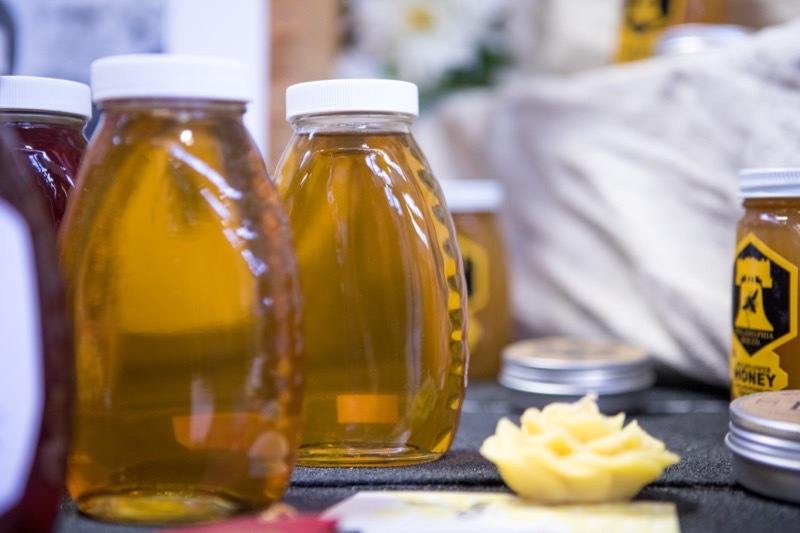 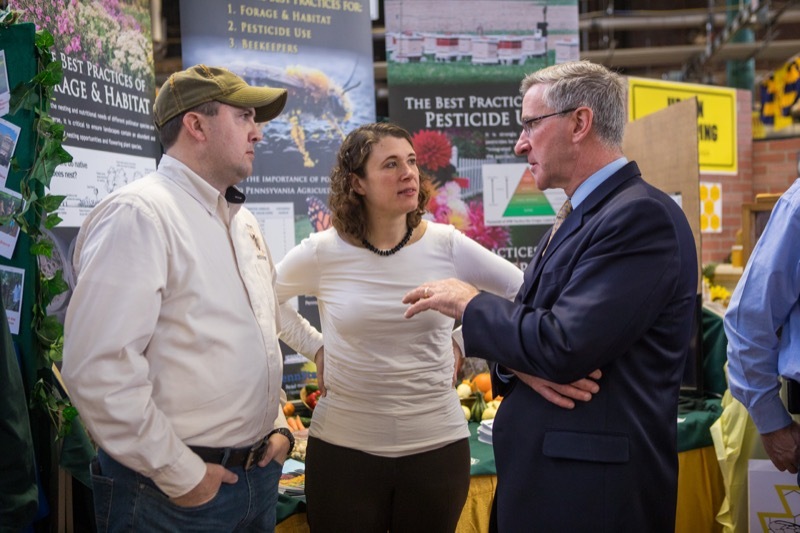 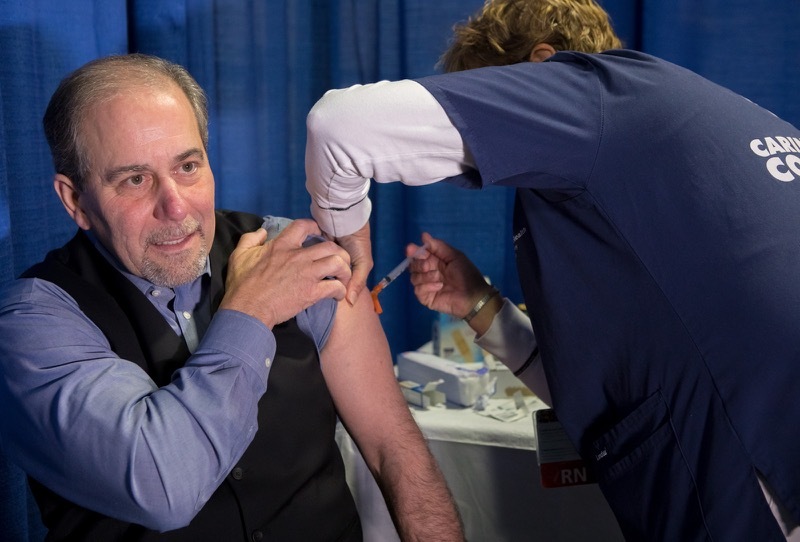 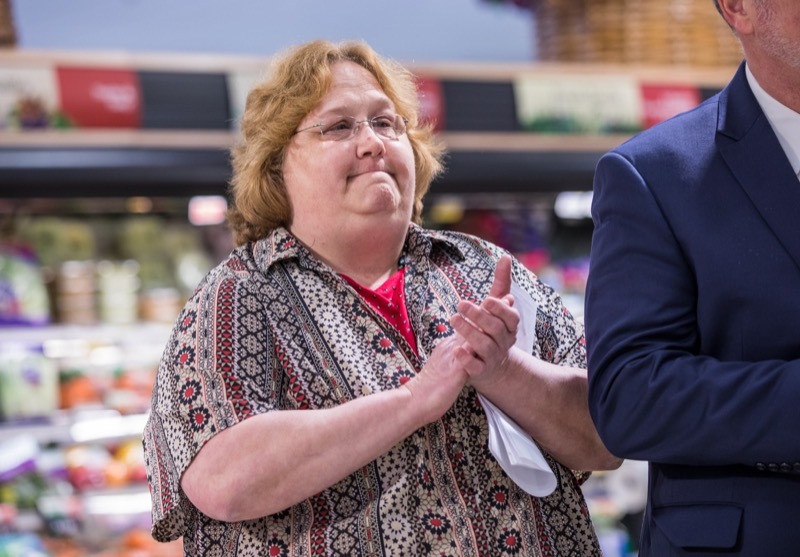 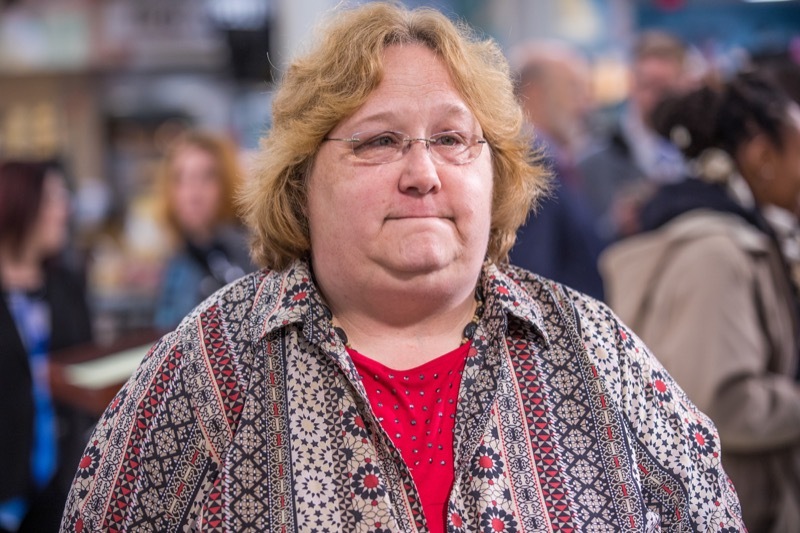 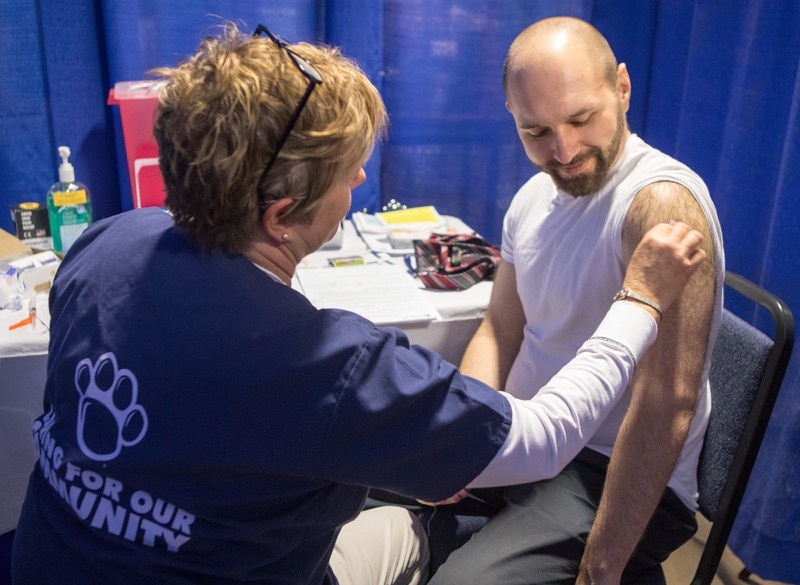 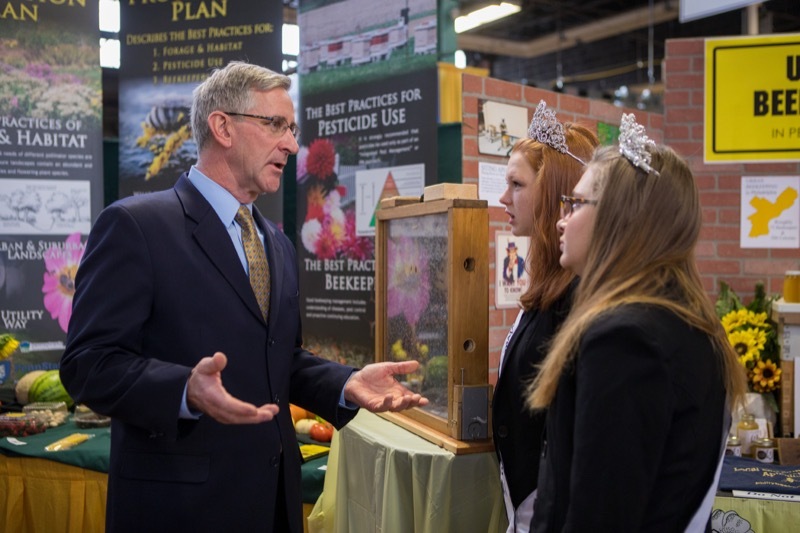 Acting Health Secretary and Physician General Dr. Rachel Levine today joined nurses from Penn State Health Milton S. Hershey Medical Center at the 102nd Pennsylvania Farm Show to provide free flu shots to the public. 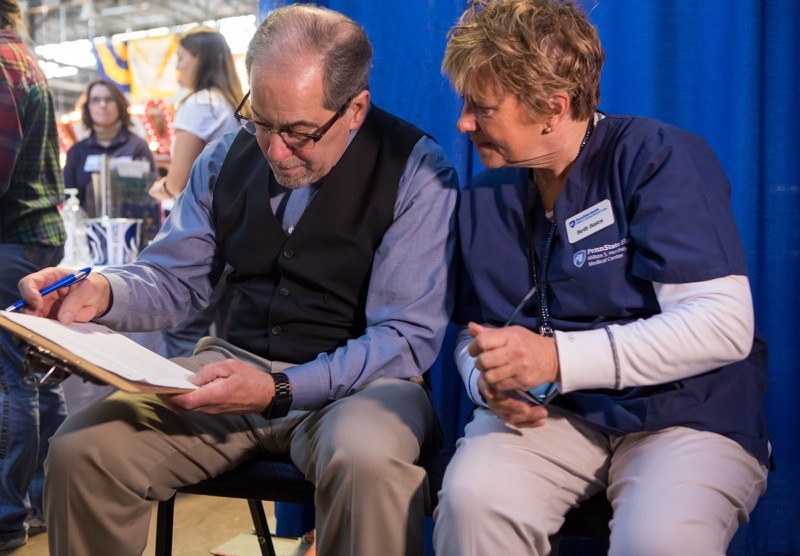 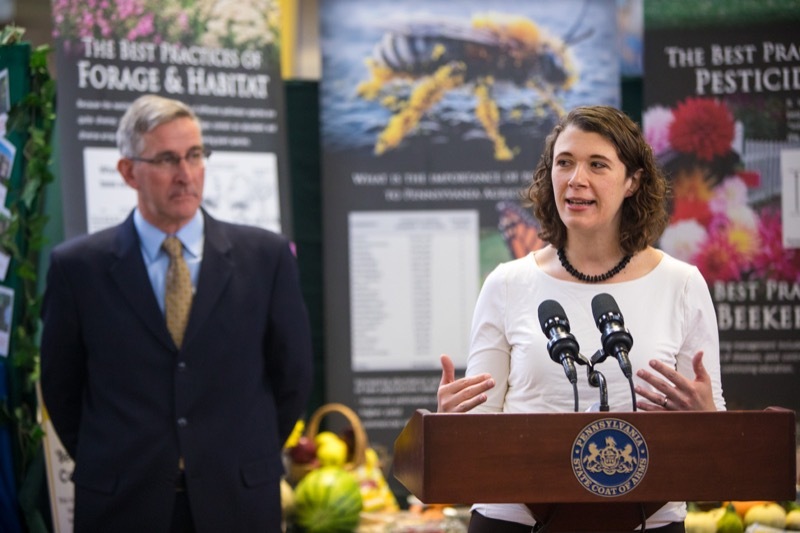 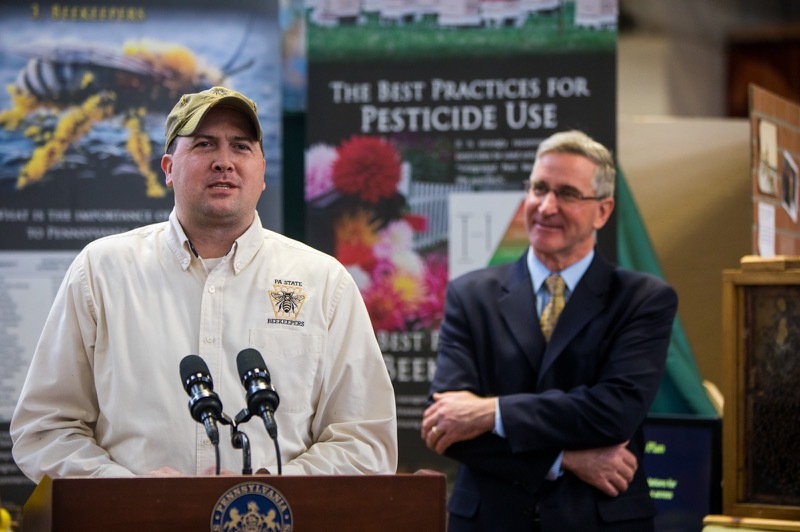 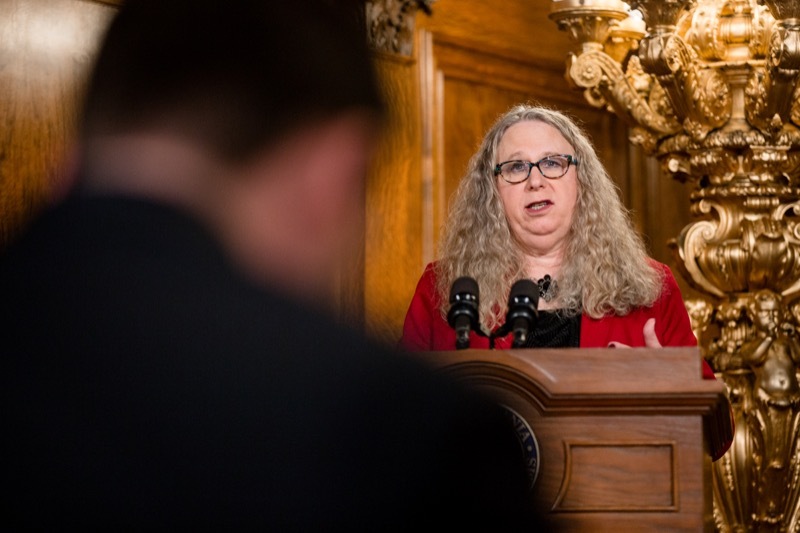 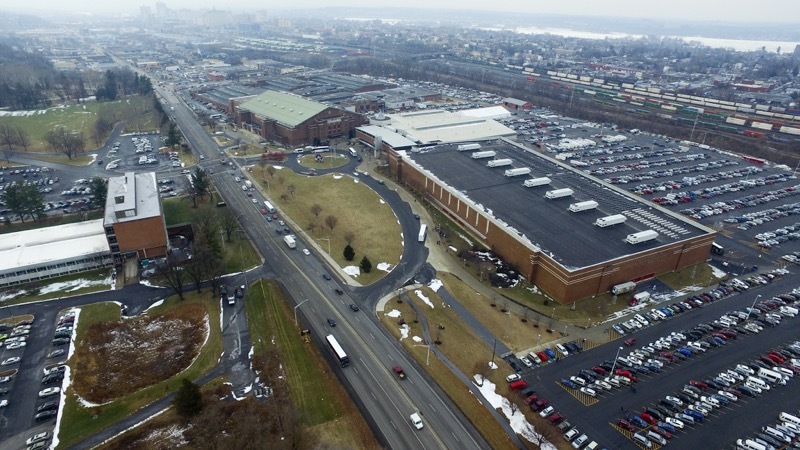 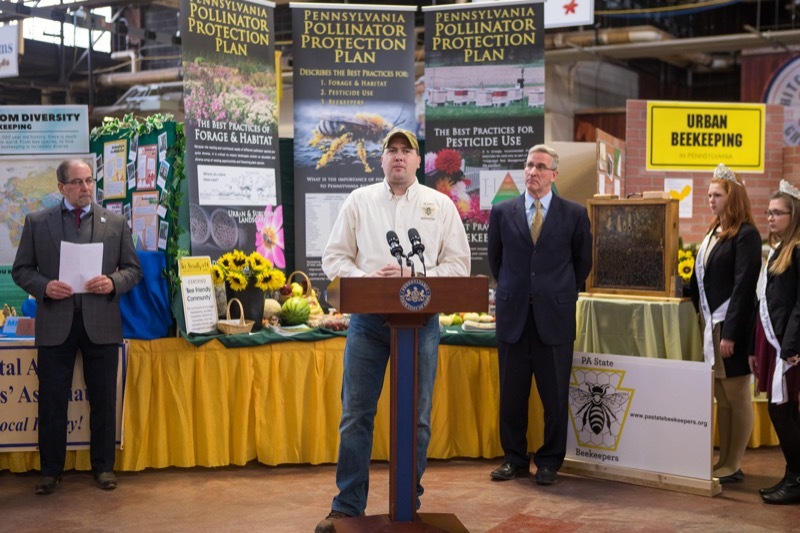 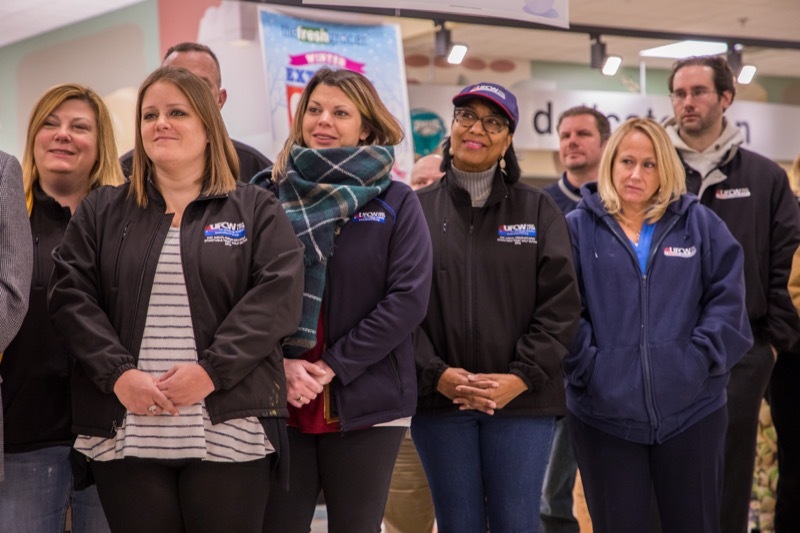 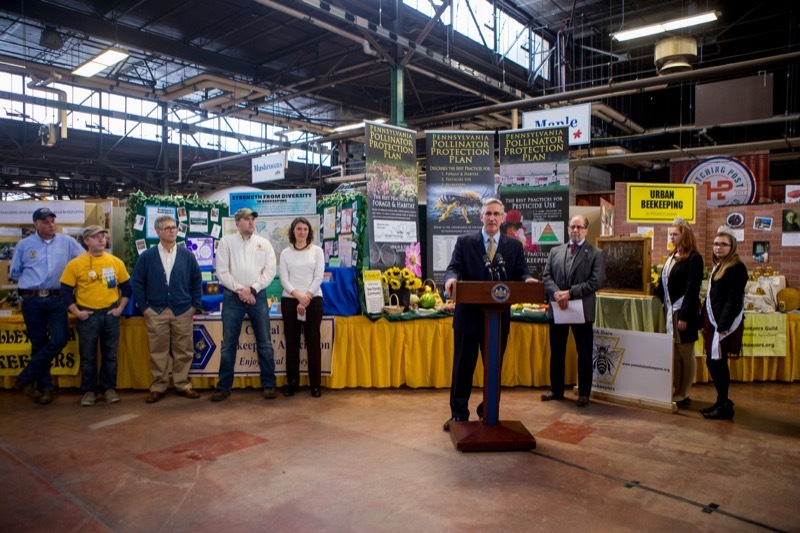 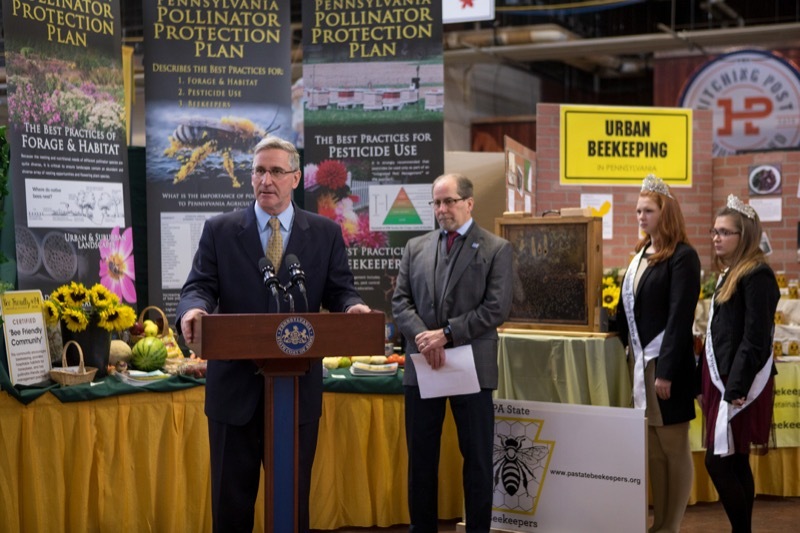 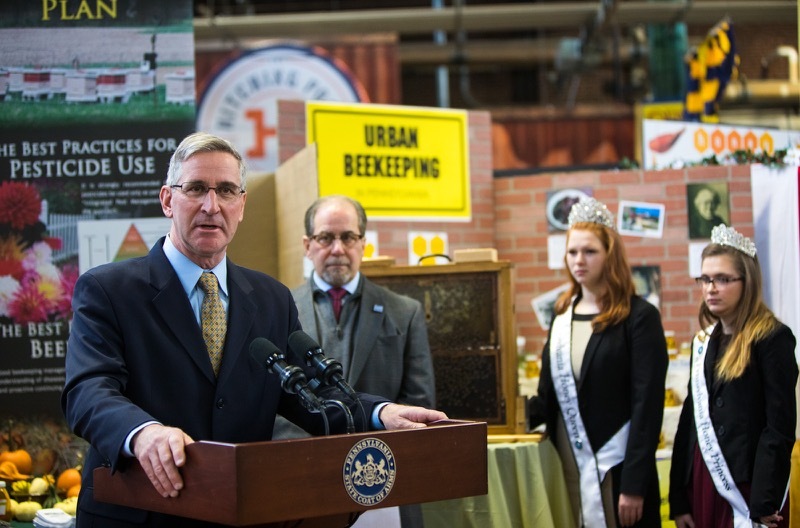 Harrisburg, PA - Acting Health Secretary and Physician General Dr. Rachel Levine today joined nurses from Penn State Health Milton S. Hershey Medical Center at the 102ndPennsylvania Farm Show to provide free flu shots to the public.